There are few positions as demanding as that of project manager. Project managers are responsible for planning, budgeting, overseeing, and documenting discreet projects within an organization. They work closely with stakeholders, including clients, team members, upper management, and related departments, to ensure that the scope and direction of each project remains on track. These job duties demand that project managers be motivational leaders, methodical planners, strategic decision-makers, competent crisis-managers, and diplomatic communicators. It takes a highly competent and well-trained professional to meet these many job demands, and project managers are well-compensated for their skills. The Project Management Institute (PMI) reports that the average salary for a project managers with just 3-5 years’ experience is $85,000, while a highly experienced project manager averages $130,000 per year. More good news: the demand for qualified project managers is growing. The PMI survey also reports that a widespread shortage in trained project managers will open an estimated 1.57 million jobs globally for those holding a master’s degree in project management. If you’re ready to embark on a stimulating, lucrative, and in-demand career in project management, you’ll need to start by earning a master’s degree in project management. If you’re like most adults, outside obligations of work and family make the flexibility and convenience of online graduate education highly attractive. And, like most adults, you no doubt don’t want to spend more than you have to on your online master’s degree in project management. Fortunately, there are a wealth of high-quality, online master’s programs offering MS and MBA degrees in project management, with remarkable affordable tuition. Read on to discover 50 great schools where you can earn an online master’s degree in project management, at a price that won’t break the bank. 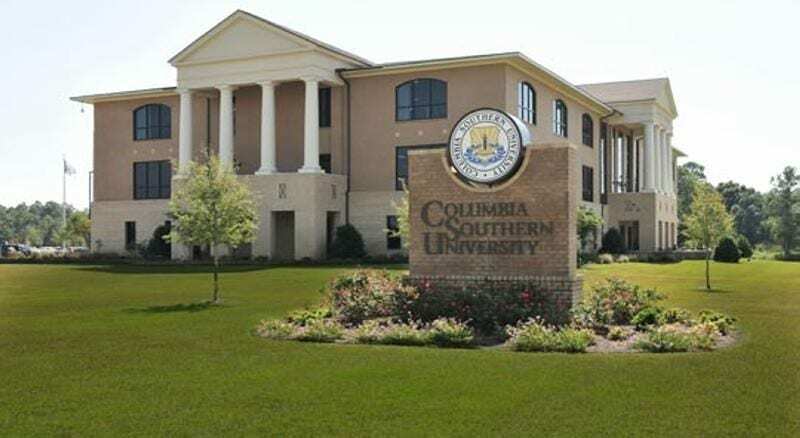 Columbia Southern University (CSU) is a private university headquartered in Orange Beach, Alabama, which offers degrees entirely online. CSU was established in 1993 as a professionally-focused institution catering to adult learners. In its first years, the school offered just two programs: Occupational Safety and Health and Environmental Engineering. Since its founding less than three decades ago, the university has grown to offer both undergraduate and graduate degree programs in a variety of career-focused fields. Popular majors include safety and emergency services, business administration, criminal justice and health care administration. Fully half of the 21,442 students enrolled at CSU are members of the military or veterans. The university belongs to the U.S. Army’s “GoArmyEd” program and the U.S. Air Force’s “Air University Associate to Baccalaureate Cooperative” program, and has twice been recognized as a top military-friendly school. CSU supports its student body of non-traditional learners by offering online career services, academic advising, virtual tutoring in writing and math, and an online academic resolution center. CSU offers an online Master’s in Project Management as one of seven concentrations available within its popular MBA program. The Project Management concentration program has earned CSU recognition as a Registered Education Provider (REP) in project management by the Project Management Institute (PMI). The MBA program at CSU typically takes three years to complete on a part-time basis, and is expressly designed for adult students with full-time employment. A total of 36 credits are required for graduation, and fully one-third of these take place within the Project Management concentration. Typical project management courses include highly practical topics such as Managing Project Teams and Project Management Strategy & Tactics. Remarkably affordable tuition puts CSU in a league of its own, and clinches our top ranking for Most Affordable Master’s in Project Management. At $300 per out-of-state credit hour, tuition is a fraction of the cost of comparable programs. As a bonus, all reference and study materials are provided online, meaning that students need not invest in textbooks. 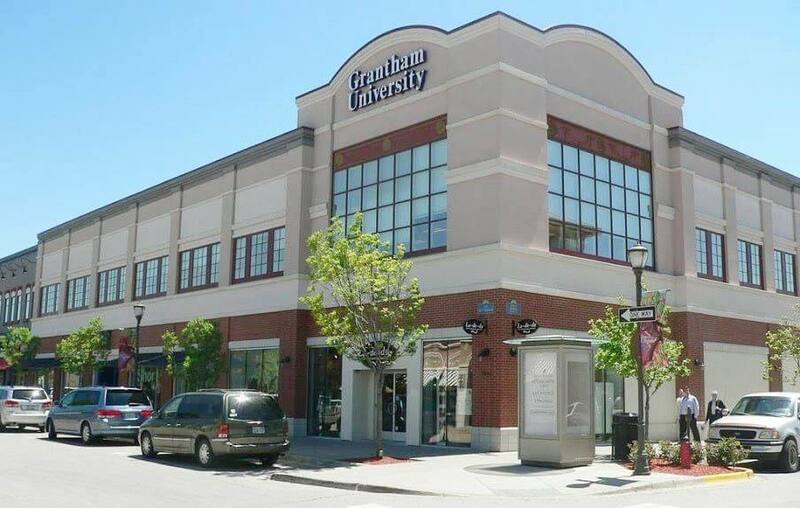 Grantham University was originally established in 1951 as the Grantham Radio Licensing School, which provided Federal Communications Commission License certification to WWII veterans, with the goal of transitioning military skills into success in civilian employment. The original main campus was based in Southern California, while today, the school is headquartered in Lenexa, Kansas, and conducts all classes 100% online. Grantham offers “student-first” education, serving a highly diverse student body of 17,486, primarily non-traditional learners. Grantham continues to excel in military and veteran education. The school has been named a Top Military Friendly School by Military Advanced Education and Transition for the past 10 consecutive years, a Military Friendly School by GI Jobs for the past nine consecutive years, and a Military Times Best: Colleges for the past 5 consecutive years. Popular majors include such career-focused studies as engineering, computer science, criminal justice, and nursing. Grantham offers two incredibly affordable online master’s in project management: an online Master of Business Administration- Project Management and an online Master’s in Information Management- Project Management. Both degrees are notably flexible and astonishingly affordable. The MBA in Project Management is designed for current business professionals heading up corporate and organizational projects. The Master’s in Information Management- Project Management, on the other hand, is designed specifically for those looking to oversee projects within the IT sphere, such as software development. The curriculum of both degrees is up-to-date and workplace-relevant, having been developed around the standards set forth in the Project Management Institute’s A Guide to the Project Management Body of Knowledge (PMBOK), a comprehensive guide to best practices within the industry. Grantham is designated as a Registered Educational Provider of the Project Management Institute (PMI), and the skills taught in each program directly prepare students to sit for the Project Management Professional (PMP) certification exam upon graduation. The curriculum for the MBA and the Master’s in Information Management each can be completed in 24 months or less, comprise 37 credits, and culminate in a project management capstone. Classes are offered with weekly start dates, so degree seekers can begin as soon as they are ready. Grantham’s remarkably affordable tuition is priced at just $325 per credit, and the school offers a further discounted price of $250 per study hour to members of the nonprofitÊUnited States Army Warrant OfficersÊAssociation. University of Louisiana at Lafayette (“Lafayette”) is a public research university based in the Acadian city of Lafayette, Louisiana. The school was founded in 1898 as the Southwestern Louisiana Industrial Institute, and began to shift its focus to liberal arts education in the 20th century. Today, Lafayette is a research-heavy school, and has earned a designation of “Doctoral University with Higher Research Activity” from the Carnegie Foundation. Lafayette stands out among the many colleges in Louisiana as the only institute in the state to offer a Ph.D. in Francophone Studies, a master’s in Informatics, or any degree in Industrial Design. The school is home to 19,188 undergraduate and graduate students, the second-largest student body in the state. Lafayette was ranked 24th by U.S. News & World Report in its ranking of “Universities and Colleges Where Students Are Eager to Enroll” and was designated as a “Best Business School of 2018” by the Princeton Review. consists of 11 courses, totaling 33 hours. Seven of these are core courses, and four courses are specific to the Project Management concentration, covering such topics as Analytical Methods for Planning and Control and Organizational Behavior and Leadership. Coursework emphasizes building skills in leadership, resource management, and strategic decision-making. Lafayette’s highly affordable tuition costs just $387 per credit, and tuition includes all course materials, meaning students will be saved the additional cost of expensive textbooks. Not only does the program offer remarkably affordable tuition; the course of study is fast as well, and can completed in as few as 15 months. All classes are accelerated, lasting just 8 weeks each. Fast, affordable and reputable, this Project Management Master’s program offers a winning combination and outstanding all-around value. The University of North Alabama (UNA) is a large, public institute located in Florence, Alabama. It is the state’s oldest four-year public university, having been founded back in 1830 as LaGrange College. The sprawling, 130-acre campus is home to a number of antebellum structures, and boasts a wealth of resources, such as state-of-the-art computer technology, science and nursing labs, sizable athletic facilities, amphitheater, and a library with a collection of 330,000 books. The campus is located near Muscle Shoals, and has a rich musical history, being the first major university in the country to offer a bachelor’s degree in commercial music. Along with a well-recognized musical program, UNA has especially strong academic offerings in Engineering Technology and Human Computer Interaction/User Experience (HCI/UX). U.S. News and World Report ranks UNA 85th in Regional Universities South, and an impressive 32nd in Top Public Schools. UNA offers an online Master’s in Project Management as a concentration within the school’s MBA program. The comprehensive and rigorous curriculum thoroughly prepares graduates to sit for the Project Management Institute (PMI) Certified Associate in Project Management (CAPM) certification exam or the Project Management Professional (PMP) certification exam. A total of 25 hours in core courses are required, many of which include studies in project management. Degree seekers in the project management concentration complete an additional 9 concentration hours, covering such topics as Cases in Applied Project Management and Leadership and Team Building. Not only does UNA offer highly affordable tuition, but an excellent reputation as well. Along with the school’s overall outstanding reputation for rigorous academics, the program itself has earned a number of distinctions. U.S. News and World Report ranks UNA an impressive 116th in the nation for Best Online MBA Programs, CEO Magazine ranked it 17th in the World for Best Online MBA Programs, and GetEducated.com named the school 21st in the nation for Best Buy for Distance MBA. UNA’s remarkably affordable tuition is only $450 per credit, making this reputable master’s in project management a world-class value. Doane University is a private liberal arts college based in Crete, Nebraska, and is affiliated with the United Church of Christ. Doane was founded in 1872, making it the state’s oldest liberal arts and sciences college. The school is home to 2,950 students and has an astonishingly low student-to-faculty ratio of just 11 to 1. In addition to small class sizes, Doane is known for strong offerings in Education, Social Sciences, Biology, Business, and the Arts. The massive campus, which encompasses 300 acres, has been designated a Nebraska Statewide Arboretum site and is home to three buildings listed on the National Register of Historic Places. Doane awards an online master’s in project management as one of seven available areas of emphasis within the school’s MBA program. The MBA program at Doane emphasizes the “technical aspects of business management,” and strives to equip students with practical skills in decision-making and operations management. There are five 3-credit core courses required, including Administrative Strategy and Policy, and Financial Management, followed by two 3-credit core electives. The remaining four 3-credit classes cover topics within the Project management Emphasis, and include Initiating and Planning Projects, and Monitoring and Controlling Projects. At just $460 per credit, Doane has an exceptionally affordable online master’s in project management. Originally founded as an agricultural college back in 1970, Colorado State University is a public research university based in Fort Collins, and is the flagship school of the Colorado State University System. The student body is very large, with a total of 32,236 enrolled in undergraduate and graduate programs. In spite of its large size, Colorado State maintains a relatively low student-to-faculty ratio, at 17 to one. Colorado State has earned an impressive academic reputation; it is ranked 124th in National Universities and 58th in Top Public Schools, and 138th in Best Value Schools by U.S. News and World Report. Colorado State is widely considered to be one of the country’s top research universities, and has contributed to advances in solving real-world problems such as climate change, infectious diseases, bio-terrorism, and clean energy. Colorado State has earned the Carnegie classifications of “community engaged university” and research university with “very high research activity.” Outside of the classroom, students can advance their learning through field experience, internships, laboratory research, and exchange programs. “Strategic Leadership in 21st Century Project Management,” reflecting core areas of focus in the rigorous curriculum. This curriculum aligns with the external standards laid out standards set forth in the Project Management Institute’s “Project Management Body of Knowledge” (PMBOK), the definitive guide to best practices in the industry. Graduates will be armed with the knowledge and skills necessary to sit for the Project Management Professional (PMP) certificate exam. The project management program consists of 8 three-credit core courses as part of a full 36-credit master’s degree, and courses include such topics as Project Metrics, Monitoring, and Control, and Business Analyses. Students have the option to specialize in a number of areas such as Information Technology, International Management, or Organizational Leadership and Change Management. CSU-Global’s distance learning programs are widely recognized for quality; online students learn from the same lectures as their on-campus peers, through streaming and archived video. Class content is delivered both asynchronously and via periodic video conferences, text and audio, yielding a rich and immersive learning environment. This high-quality program also has low tuition: just $500 per credit. 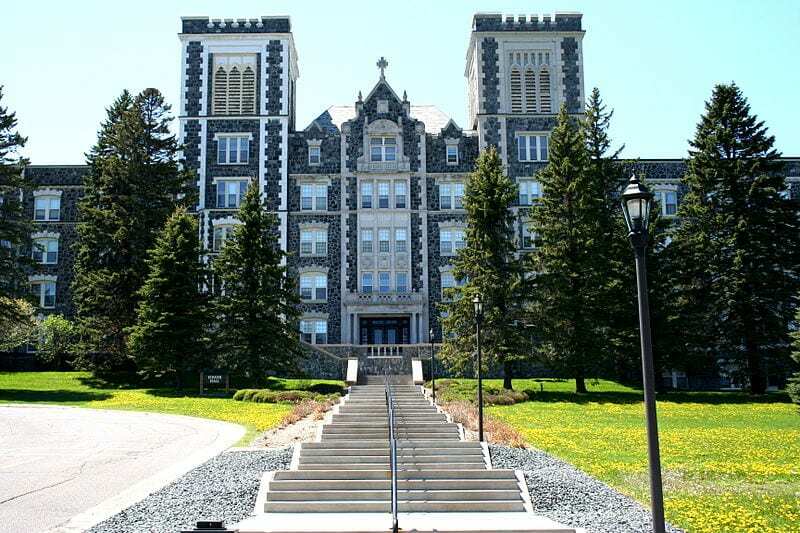 Founded in 1912 by an order of Benedictine missionaries, the College of St. Scholastica is a private, Roman Catholic college based in Duluth, Minnesota. Throughout the school, Benedictine values are stressed, such as Community, Respect, and Stewardship, and all first-year students are required to take part in an orientation program known as “Dignitas” (Dignity), designed to promote these values. St. Scholastica is home to a total of 4,237 undergraduate, graduate and doctoral students, and maintains a low student-to-faculty ratio of 15 to one. Health professions make up the most popular areas of study by a large margin; one-half of all students choose to major in this field of study, and the school is recognized as a national leader in the field of Health Informatics and Information Management. U.S. News and World Report recognizes the excellent quality of academics at St. Scholastica with a ranking of 34th in Regional Universities Midwest, and 73rd in Best Value Schools. St. Scholastica offers an affordable online mater’s in project management. The program was developed with practicing business professionals in mind, and assumes that students are familiar with the project environment. The curriculum follows a set sequence, and students move through it as a cohort. The course of study consists of 37 credits, comprising 13 courses, all of which take place in an accelerated, 8-week format. Degree seekers begin with four foundational courses covering basic project management skills and knowledge, followed by three advanced project management courses, and three global and strategic specialization courses. Those students who have already earned PMP certification can opt out of two of these classes. The course of study ends with an in-depth, research-intensive capstone project, which is associated with another three courses. Degree seekers can choose to specialize in one of three areas: Leading Global and Distributed Teams, Global and Cultural Competency, and Organizational Change Leadership. In keeping with the college’s Benedictine values, students pursuing an online master’s in project management will find that the curriculum emphasizes the school’s ideals of ethical decision making, social responsibility, global awareness, and professional excellence. At $530, this rigorous program has a surprisingly affordable tuition. 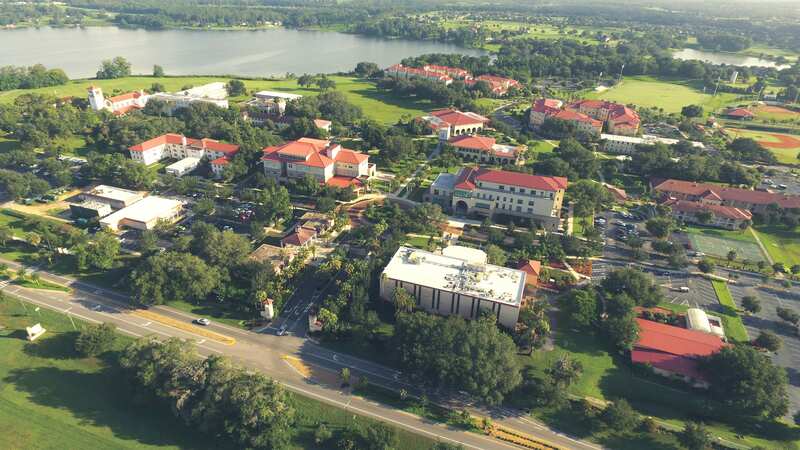 There are a total of 13,099 undergraduate and graduate students enrolled at Saint Leo, making it one of the nation’s five largest Catholic universities. In spite of its size, class sizes are remarkably small, with a student-to-faculty ratio of just 14 to 1. The institute was an early pioneer in distance education, providing distance learning to members of the military during the Vietnam era. Today, Saint Leo remains a top school for military members and veterans. 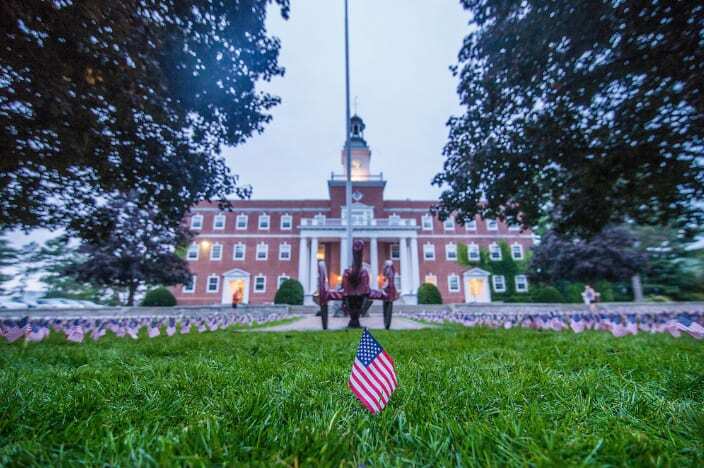 U.S. News and World Report ranks the school 36th for Best Colleges for Veterans, along with 61st in Regional Universities South, and a remarkable 23rd in Best Value Schools. The school promotes an active teaching-learning model, which emphasizes learning through collaboration and research. Popular majors include business administration, education, criminal justice and theology. Saint Leo offers a reputable and affordable online master’s in project management as a concentration within the MBA program. The program is accredited by the Accreditation Council for Business Schools & Programs (ACBSP) and the International Assembly for Collegiate Business Education (IACBE). The curriculum was developed based on the standards defined in the Project Management Institute’s “Project Management Body of Knowledge” (PMBOK), ensuring workplace relevancy. The course of study follows a prescribed sequence of 36 credits, comprising 12 three-credit courses. Of these, 21 credits are core business classes, and the remainder are specific to the project management concentration. Class titles include Global Business Management, Monitoring, Controlling and Closing Projects, and Best Practices in Project Management. The course of study culminates in an Applied Project Management Case, an experiential capstone executed using the project management information system (PMIS), Microsoft Project, applied to information drawn from real-world scenarios. This rigorous program has an affordable tuition; credits are priced at only $555. Avila University is a private, Roman Catholic institute based in Kansas City, Missouri, which is sponsored by the Sisters of St. Joseph of Carondelet. The university was founded in 1916 as St. Teresa’s College, a two-year academy for women. Today, the school awards degrees in 60 undergraduate majors and concentrations and 6 graduate programs. The school serves 1,676 graduate and undergraduate students, an maintains a remarkably low student-to-faculty ratio of 12 to 1. 74% of full-time faculty at Avila hold the highest degree in their field of expertise. 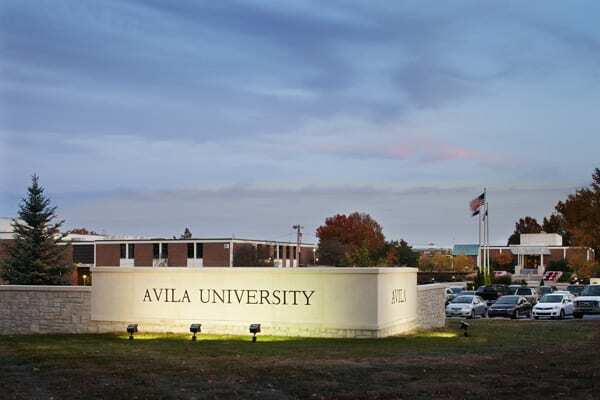 Avila recently pioneered the Avila Promise, which guarantees all students an on-time graduation, an internship or research experience, an affordable tuition and freedom from increases, and a travel award of up to $1,000. Avila awards a fully-online master’s in project management in the form of an MA in Management with an emphasis in Project Management. The curriculum emphasizes critical thinking and communication skills, as well as resource management and leadership. A total of 37 credits are required for graduation, with seven core management classes, an applied research capstone project, and five classes specific to project management. Concentration class subjects include Tools & Technology of Project Management, Six Sigma, and Management Technology. This online master’s in project management stands out for its exceptional flexibility. Courses are offered in a flexible class schedule with eight week and/or weekend-intensive formats, and students can change their class formats, start, pause, and resume their coursework as needed. All classes are taught by faculty who have extensive professional experience in the field, and are able to speak with authority on the latest project management tools, trends, and practices. The cost per credit is only $556, making this an online master’s in project management with both flexible delivery and affordable tuition. Moreover, this affordable tuition is locked in at each student’s time of enrollment, with a guarantee not to increase, and includes the cost of all textbooks and program materials. 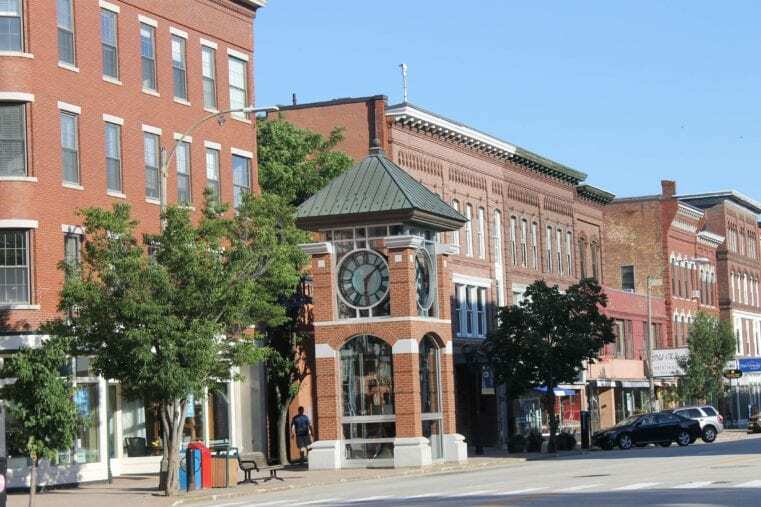 Founded in 1972, Granite State College has its main campus in Concord, New Hampshire, and an additional seven satellite campuses throughout the state. The school caters to non-traditional learners, mainly adults with full-time employment and veterans, with career-focused academics. Over 85% of the student body is over the age of 25, and some 13% are veterans. Flexible delivery, workplace relevance, and affordable tuition are core values at Granite State. The school has a generous transfer credit policy, and also awards credit for qualifying professional experience, military training, and equivalency testing. The student body is small, with a total of 2,141 graduate and undergraduate students, and class sizes are also small, with a student-to-faculty ratio of 13 to 1. Students can tailor their learning experience by choosing between online, in-person, field-based blended or hybrid class formats, or opting to take accelerated courses. 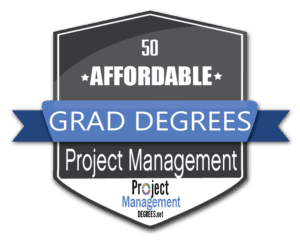 Granite State has a flexible and affordable online master’s in project management, which is regionally accredited by the New England Association of Schools and Colleges (NEASC) and GAC Accredited by the Project Management Institute (PMI). The degree is designed for current professionals employed in management, and is heavily focused on the practice of project management, with applied skills emphasized throughout. More than 77% of Granite State students take classes online, and the school has come to specialize in distance delivery. Granite State’s master’s degrees in Leadership, Management, and Project Management have all received top rankings from U.S. News & World Report. The master’s in project management follows a 30-credit sequence. Course titles include Negotiation, Contracting and Procurement, Managing Project Portfolios, and Project Quality Management. The curriculum culminates in a Project Management Integrative Capstone, which synthesizes the knowledge acquired in prior coursework. Granite State has very affordable tuition; the cost per credit for this degree is only $560. Liberty University offers two distinct and highly affordable online master’s in project management: a Master of Science in Project Management and an MBA in Project Management. The Master of Science in Project Management is designed to train students in the operational management and leadership skills required to succeed in project management. This degree requires the completion of 36 credits, and courses include Leading Organizational Change, Global Project Management, Operations Management, and Supply Chain Management. The MBA in Project Management, on the other hand, also covers market strategy and international project management, and requires 45 credits for graduation. Courses include such advanced topics as Policy & Strategy in Global Competition, Accounting for Decision Making, and Global Project Management. Both programs follow a prescribed sequence of required courses, and allow up to 50% credits to be transferred in. Liberty is heavily invested in online education; over 90% of students are enrolled online. Niche ranks Liberty as the #1 Best Online College in America, and U.S. News and World Report places 6 of its online degree programs in the nation’s top 200 departments, including a ranking of 139th in Best Online MBA Programs. Both degrees are also recognized for high individual quality; Liberty was ranked among the nation’s Best Online Master’s in Project Management and Best Online MBA in Project Management for 2017 by BestColleges.com. At just $565 pre credit, these academically strong programs also boast very affordable tuition. Based the town of Bellevue, Nebraska, Bellevue University was founded in 1966. This private, nonprofit school has focused on educating adult learners since the time of its founding. Today, the school serves over 10,0000 students, making it the largest private school in the state. More than 80% of Bellevue’s students are older than 25 years, and the vast majority are enrolled in online classes. Washington Monthly ranked the university among the nation’s Top Ten Universities for Adult Learners for 2016 and 2017, and Bellevue has won multiple distinctions for being military-friendly. The school offers flexible learning formats, with traditional, online, cohort and accelerated classes. The school also accommodates adults returning to school with a generous transfer credit policy, and by awarding academic credit for qualifying work experience, or military and professional training. Bellevue values professional relevance in its instruction. The school’s novel “Skills to Performance” learning model evaluates student learning outcomes against defined skills determined to be relevant to specific industries. Bellevue awards an online Master’s in Project Management which is affordable and recognized for outstanding quality. The curriculum is based on the Project Management Institute’s (PMI) globally recognized standards and the institute’s Project Management Body of Knowledge (PMBOK) Guide. All instructors are accomplished Project Management Professionals. Bellevue is recognized as a Registered Education Provider (REP) in project management by the PMI, and accredited through the Global Accreditation Center for Project Management Education Programs (GAC). The degree requires the completion of 12 three-credit courses, such as Procurement and Contract Management, and Emerging Trends in Project Management. The project culminates in a comprehensive Applied Project Management Capstone project. Distance learners in this master’s program benefit from a high-quality online school of business; U.S. News and World Report ranks Bellevue 120th -158th in Best Online Graduate Business Programs (Excluding MBA). At only $565 per credit, Bellevue has affordable tuition as well as excellent quality. Based in outside of Concord in the town of Henniker, New Hampshire New England College (NEC) is a private, non-profit college which was founded in 1946. The college was established to educate WWII veterans attending college on the GI Bill., and still retains a designation as a Top Military-Friendly School. Today, the school serves 2,700 students in 37 bachelor’s degree programs, 12 master’s degree programs, and one doctoral degree program. NEC prides itself on offering an immersive educational experience through hands-on learning, civic and community engagement, and research opportunities. The school has hosted a number of political leaders and held Town Hall meetings, and participates in state-wide biological research initiatives. Class sizes are relatively small, with a student-to-faculty ratio of 16 to one. U.S. News and World Report ranks NEC 146th- 187th in Regional Universities North. New England offers a career-relevant and notably affordable online Master of Science in Management: Project Management. The course of study is designed for busy working professionals employed in the field of business, and teaching skills which have immediate applicability in the workplace. Students are meant to take two courses per 7-week session, for a total of 36 credits. There are five core MSM courses and six project management concentration courses, covering topics such as Managerial Accounting and Finance for Leadership, Supply Chain Management, and Quality Analysis for Technology. Students pursuing this online master’s in project management benefit from a strong online business school; U.S. News and World Report ranked NEC 118th in the nation for Best Online Graduate Business Programs (Excluding MBA). At just $565 per credit, Bellevue has remarkably affordable tuition. New England also offers an online MBA in Project Management (see ranking #19). Colorado Christian University (CCU) is located 10 miles west of Denver, near the foothills of the Rocky Mountains, in Lakewood, Colorado. CCU was founded in 1914 as the Denver Bible Institute, and today is a private, interdenominational Christian liberal arts university. The school serves a total of 8,156 students through two colleges: College of Undergraduate Studies, with traditional four-year programs, and the College of Adult and Graduate Studies, which serves non-traditional learners through licensing, credentialing and continuing education programs. CCU is committed to its Christian values, fostering ethics across all disciplines, promoting community service, and requiring chapel attendance for full-time undergraduates. Students benefit from the personal attention afforded by small class sizes; the student-to-faculty ratio is 15 to 1 for undergraduates and just 11 to 1 for graduate degree seekers. CCU is ranked 96th- 126th in Regional Universities West by U.S. News and World Report. The American Council of Trustees and Alumni (ACTA) gives the school a grade of “A”, placing it among the nation’s top 2%. CCU awards an online master’s in project management in the form of a Project Management MBA with a Project Management Emphasis. CCU’s College of Adult and Graduate Studies is a designated as a Registered Education Provider by the Project Management Institute (PMI). The curriculum thoroughly prepares graduates to sit for the sit for Project Management Professional (PMP) certification, and is built around the PMBOK Project Management Body of Knowledge) Guide curriculum published by the PMI. The degree requires the completion of 39 credit hours, and can be completed in under two years on a full time basis. Most courses last just 5 weeks, and class topics include Fundamentals of Project Management for Business, and Strategic Leadership of Project Management in Business. In keeping with the school’s Christian tradition, the curriculum incorporates ethical considerations and scriptural foundations in business decision-making. With credits costing just $569, the affordable tuition and workplace applicability of this program make CCU an excellent choice. SHSU has a Master of Science in Project Management program with strong academics and affordable tuition. The course of study consists of 36 credits: 12 required three-credit courses which follow a prescribed sequence. Courses include Operations Planning and Control, Leading Operational Change and Development, and Staffing Organizations. A Project Management Capstone course is required for graduation, a hands-on course applying acquired knowledge to real-world project management scenarios. The project management master’s degree program is designed to not only instruct students in key job competencies, but to prepare them to sit for the Project management Professional certification exam offered by the Project management Institute (PMI). Distance learners at SHSU benefit from a strong online learning program; U.S. News and World Report ranks six of SHSU’s degree programs among the nation’s top 100. Colorado Technical University (CTU), located in Colorado Springs, was founded in 1965 as a technical training institute. The school was an early adopter of online education, offering online classes beginning in 1995, and today serves over 90% of its 26,000 students entirely online. The majority of CTU students are non-traditional learners pursuing degrees to advance existing careers. The school meets the needs of its busy adult students by offering instruction through a variety of flexible formats, such as archived lectures, live chat, and video. CTU emphasizes workplace-relevant skills, affordable tuition, and accommodations for military students. It has also earned a strong academic reputation, especially in the areas of criminal justice, engineering and business. CTU offers an affordable online master’s in project management as a Master of Science in Management with a concentration in Project Management. The program promises students a diverse curriculum, industry-relevant competencies, and up-to-date skills. A total of 48 credits are required for graduation. Students complete a prescribed sequence of required courses: 12 four-credit courses in all. Class titles include Information Technology Systems Development, Project Management Processes in Organizations, and Project Planning, Execution and Closure. The course of study culminates in a Project Management Capstone. CTU’s online master’s in project management program is accredited by the PMI Global Accreditation Center for Project Management Education Programs (GAC). The university’s online graduate school of business is well-respected; U.S. News and World Report ranks the school 108th in Best Online Graduate Business Programs (Excluding MBA) and 172nd in Best Online MBA Programs. This respected degree program is available at an affordable tuition rate: only $585 per credit. 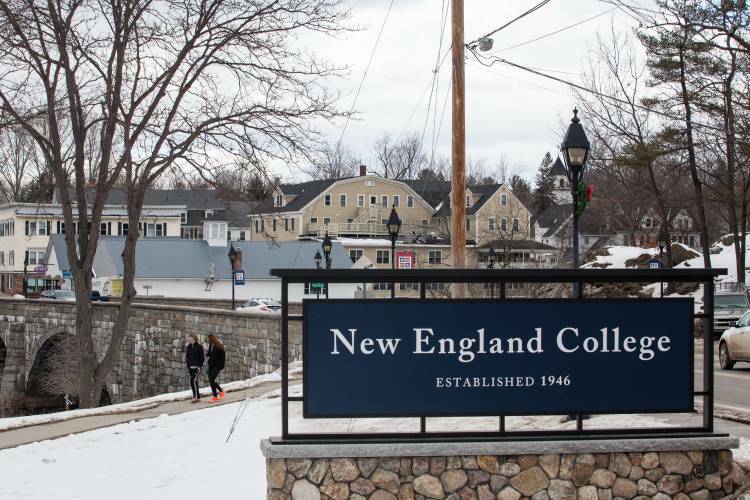 Based in outside of Concord in the town of Henniker, New Hampshire New England College (NEC) is a private, non-profit college which was founded in 1946. The college was established to educate WWII veterans attending college on the GI Bill, and still retains a designation as a Top Military-Friendly School. Today, the school serves 2,700 students in 37 bachelor’s degree programs, 12 master’s degree programs, and one doctoral degree program. NEC prides itself on offering an immersive educational experience through hands-on learning, civic and community engagement, and research opportunities. The school has hosted a number of political leaders and held Town Hall meetings, and participates in state-wide biological research initiatives. Class sizes are relatively small, with a student-to-faculty ratio of 16 to one. U.S. News and World Report ranks NEC 146th- 187th in Regional Universities North. In addition to the MS in Project Management degree listed 12th in this ranking, NEC also offers an online MBA in Project Management, which is just as rigorous and nearly as affordable. MBA in Project Management program is designed to give current project management professionals a competitive edge through advanced training. The entire program can be completed in as little as 20 months for students enrolled on a full-time basis, and all classes are designed to maximize instructional efficiency. The 40-credit course of study consists of seven 4-credit core courses and three 4-credit project management curriculum courses. Classes specific to project management include Supply Chain Management and Quality Analysis for Technology. This high-quality program is recognized by sources such as U.S. News and World Report, which ranks NEC 184th in the nation for Best Online MBA Programs. 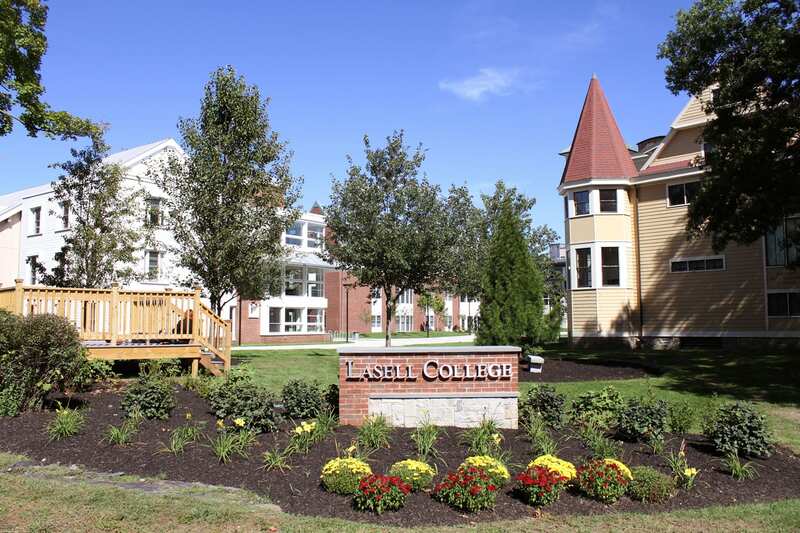 Located in the village of Auburndale in New Hampshire, Lasell College is a college which serves 1,800 students. The institute was originally founded 1851 as the Auburndale Female Seminary, a prestigious women’s academy. Unlike most “finishing schools” of its era, the school took a rigorous approach to female education, and was one of the earliest institutions to offer law courses to women. Lasell became co-educational in 1997, and the student body is currently 36% male and 64% female. Lasell has a strong academic reputation, and is widely recognized for its outstanding programs in fashion, communications, business and criminal justice. Lasell values innovation; students learn through not only classroom instruction, but through collaborative, team based hands-on activities including internships, practicums, and service learning. The school also has a strong global focus; it runs 80 study abroad programs, and over 25% of students complete an international learning experience. Lasell has earned a Carnegie Classification of “Community Engagement,” placing it among the nation’s top 10% of community-active schools. In recognition of the college’s strong academics and affordable tuition, U.S. News and World Report awarded Lasell 9th place in the nation for Great Schools at Great Prices, and ranks it 30th in Regional Universities North. Business Strategy, and Change Management. The course of study culminates in a Project Management Capstone which can take the form of either a research project or internship. This high-quality program offers rigorous academics and small class sizes, with 23 students maximum per class. U.S. News and World Report ranks Lasell 108th in the nation for Best Online Graduate Business Programs (Excluding MBA). In addition to prestige, the master’s program at Lasell boasts affordable tuition, at a cost of only $600 per credit. Saint Mary’s University of Minnesota (SMU) is a private, Roman Catholic university based in Winona, Minnesota, with multiple satellite facilities in Minnesota and Wisconsin. SMU was first founded in 1912 as a men’s college, and is affiliated with the De La Salle Christian Brothers, while accepting students of all faiths. The school emphasizes character development, global perspectives, and experiential learning through internships, study abroad, labs, service trips, field research, and conference presentations. SMU also prides itself on offering affordable tuition. Of SMU’s 5,900 students, 1,171 are traditional on-campus undergraduates, while 4,729 are graduate students enrolled either online or at satellite locations. The school awards bachelors, bachelors completion, masters, certificate, specialist, and doctoral degrees, as well as various professional licenses. Business, Marketing, Criminal Justice and Health constitute the most popular undergraduate majors. The school has earned an excellent reputation; U.S. News and World Report ranks SMU 47th in Regional Universities Midwest, 29th in Best Colleges for Veterans, and 34th in Best Value Schools. SMU awards an affordable and fully-online Master of Science in Project Management. The curriculum is aligned with the PMI GuideÕs Project Management Body of Knowledge (PMBOK), ensuring workplace relevancy, and includes the preparation coursework needed to take the PMP exam. The masterÕs program in Project Management is also fully accredited by the PMI Global Accreditation Center for Project Management Education Program (GAC). The curriculum typically takes 24 months to complete, and consists of 36 credits: 9 hours in management coursework, a 3-hour capstone course, and 24 hours in project management classes. Project management coursework includes Project Leadership, Team and Stakeholder Management, Project Procurement and Cost Management, and Product Integration and Quality. The final capstone project synthesizes theories and applications developed in previous coursework, and students may choose between a major term paper and a project simulation. Each online degree candidate is provided with an iPad loaded with SMU’s mobile learning platform. The cost of tuition is a very affordable $610 per hour. The University of Mary (“UMary”) is a private, Roman Catholic, Benedictine university located just outside of the town of Bismarck, North Dakota, and is the only Catholic university in the state. 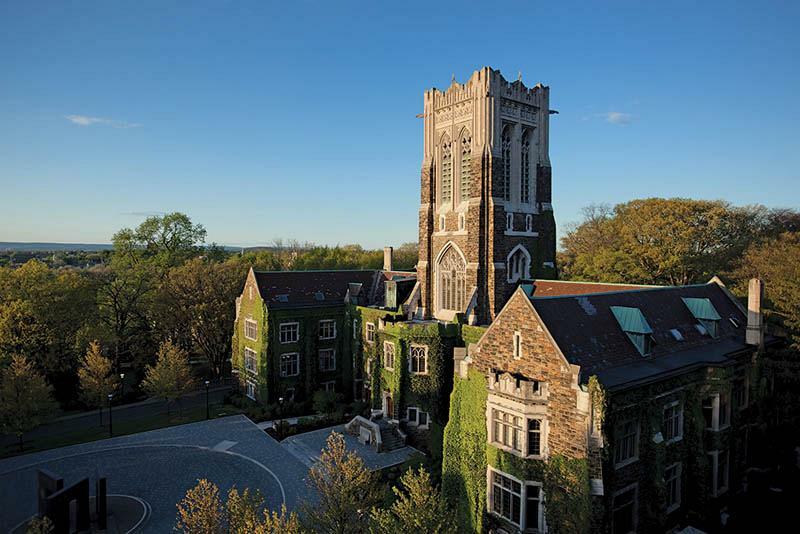 The university was originally established as a women’s college in 1959 by the Benedictine Sisters of Annunciation Monastery, with a starting student body of just 69 women. Today, UMary serves a coeducational student body of 3,314 undergraduates, and graduate, and doctoral students, and is open to students of all faiths. The school is committed to promoting the open exchange of ideas, upholding Catholic values, and providing leadership experiences for every student. Global and civic service are emphasized, as is faculty mentoring. Class sizes are small, with a student-to-faculty ratio of 17 to one, and the school boasts a job placement rate of 98% after graduation. UMary is ranked 109th in Regional Universities Midwest by U.S. News and World Report, and is the only school in the state to be recognized as a College of Distinction. UMary awards a flexible and affordable Master of Project Management degree, which available fully online, on-campus, or in a blended format. The program was created with busy working professionals in mind; the classes are offered in an accelerated format, and can be completed in as little as 18 months. Courses include Law in the Managerial Environment, Project Execution and Control, and Law in the Managerial Environment. Degree seekers may choose one of seven available areas of concentration within the project management master’s: Energy Management, Executive, Healthcare, Healthcare Informatics, Human Resource Management, Public Administration, or Virtuous Leadership. The program culminates in a research-based capstone project on a topic of each student’s choosing. All classes are taught by accomplished project management professionals. In keeping with UMary’s Benedictine tradition, ethics, faith and service are incorporated into the curriculum. UMary’s business school is ranked as the best in the state by Best-Business-Colleges.com, and GoGrad ranks UMary amongst its Top Online Master’s in Project Management. At $620 per credit, this high-quality master’s in project management also has exceptionally affordable tuition. Located in between the towns of Manchester and Hooksett in New Hampshire, Southern New Hampshire University (SNHU), is a private, non-profit school, and one of the fastest-growing universities in the nation. The institute was founded in 1932 as a school of accounting and secretarial science, and has since become a top university with over 200 bachelor’s, master’s, and doctoral degree programs. U.S. News and World Report has awarded SNHU a number of top honors and distinctions. It ranks the school 86th in Regional Universities North, 46th in Best Colleges for Veterans, 83rd in Best Value Schools, and has awarded it an incredible 1st in the nation for Most Innovative Schools for the past four years. 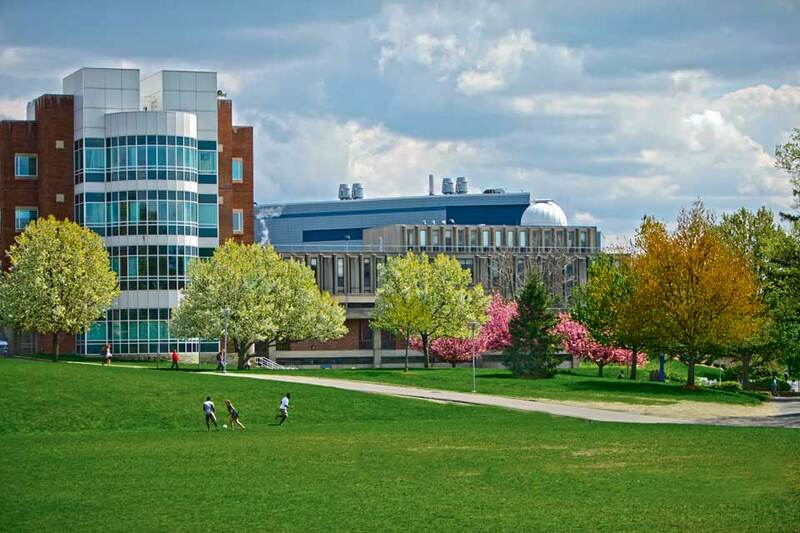 A few of SNHU’s progressive programs include the state’s first carbon-neutral campus, a simulated stock trading room, and an academic incubator for instructors and administrators to collaborate and develop ideas. SNHU has also won wide recognition for its excellent online program, which combines many of the features of a for-profit online school (extensive customer support, data-driven models, highly interactive learning) with the distinguished faculty and prestige of an established, traditional university. SNHU offers two fast and affordable online master’s in project management: a Master of Science in Operations and Project Management and an MBA in Project Management. SNHU is designated as a Registered Education Provider (REP) in project management by the Project Management Institute (PMI). The MS degree consists of 12 classes totaling 36 credits: six required courses and six electives, with options such as International Supply Chain Management, Six Sigma for Black Belt Certification, or Project Management for PMP Certification (which satisfies the educational requirement for the Project Management Professional exam). The Project Management MBA, on the other hand, consists of 17 classes: a series of business foundation courses, followed by an MBA core, one elective and a capstone. In their final semester, students may choose between Quantitative Analysis for Decision Making or Project Management for PMP Certification. The MBA Capstone Project synthesizes and integrates knowledge gained in previous coursework. Either degree can be completed in only 15 months at a rate of two classes per 10-week term. All classes are taught by project management professionals, who bring current methodologies and real-world experience to the classroom. SNHU provides a broad range of support services to its distance learners, including tutoring, advising, a writing center, and an online library. Both the online MBA and online MS in project management have the same affordable tuition: $627 per credit. Capella University is a private university located in Minneapolis, Minnesota, which provides higher education to non-traditional learners, primarily online. The school provides a wide variety of professionally-focused programs, including 25 certificate, 142 graduate and undergraduate degrees, and more than 1,600 online classes. Capella serves a total of 3,5889 students, the majority of whom are over the age of 35, employed full time, and enrolled in online degree programs. Capella is highly focused on meeting the needs of such non-traditional learners through high-quality, affordable, flexible, and career-relevant education. The university generously awards academic credits for prior coursework, professional traiing or demonstrated competency through assessments. Students may choose between teacher-led courses or self-paced, competency-based learning for most courses. Classes are designed to impart knowledge that will have immediate workplace applicability, and 86% of instructors hold doctoral degrees. The school has earned several distinctions, including CHEA Award for Outstanding Institutional Practice in Student Learning Outcomes from The Council for Higher Education Accreditation. Moreover, surveys of graduates indicate high satisfaction; 92% would choose Capella again, and 78% related a satisfactory return on their investment. Capella awards a flexible and affordable online master’s in project management in the form of a Master of Science degree in Information Technology with a specialization in Project Management. The project management program is designed for entry- and mid-level IT professionals, and is accredited through the Global Accreditation Center for Project Management Education Programs (GAC). The curriculum consists of 48 credits: 7 core IT courses, 5 Project Management classes, and an applied IT project. Class topics include Project Management, Planning, Execution, and Control, Project Risk Assessment and Control, and Agile Project Management Theory and Practice. The applied IT project spans two courses and involves applying IT project management knowledge to solving a real-world problem. Courses last 10 weeks, and are meant to be taken 1-3 at a time. Capella provides extensive supports to the busy professionals enrolled in its online graduate programs, offering not only a virtual library and online advising, but also online tutoring, career counseling and coaching. At $628 per credit, this tech-focused and highly flexible degree also has highly affordable tuition. 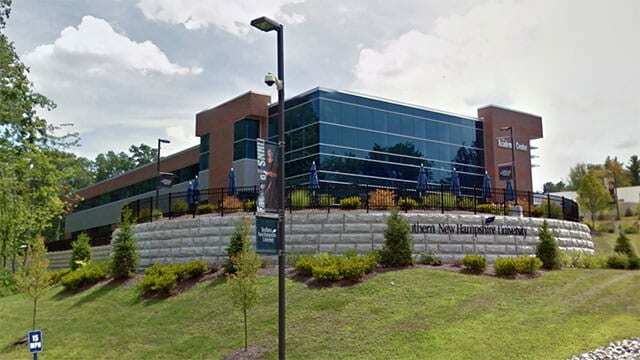 Located in Fayetteville, North Carolina, Fayetteville State University (FSU) is a historically black university which belongs to both the University of North Carolina System and the Thurgood Marshall College Fund. FSU was founded back in 1867, following the end of the Civil War, making it the second-oldest state school in North Carolina. Today, FSU serves a diverse student body of 6,226 in 43 bachelor’s degree programs, 23 master’s and one doctoral degree program in educational leadership. With its historical focus on community advancement, FSU upholds powerful ideals in leadership, service, and progress. 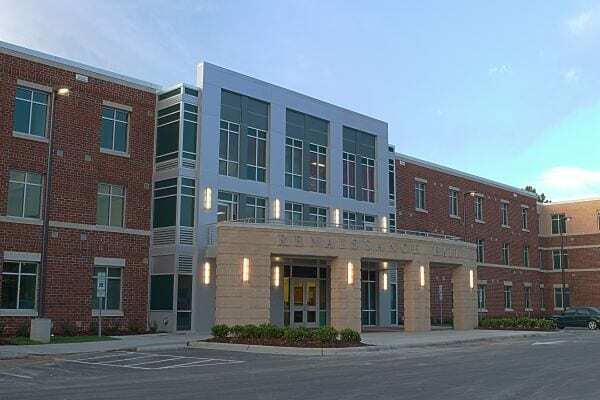 The school explicitly aims to shape students to become “global citizens and leaders as change agents,” and emphasizes social responsibility and community involvement in its mission statement. Over 80% of faculty hold doctorates or terminal degrees in their respective fields of expertise, and class sizes are relatively small, with a student-to-faculty ratio of 18 to 1 for undergraduates and 16 to 1 for graduate students. The most popular majors at the school are Criminal Justice, Psychology, Nursing, and Business Administration. U.S. News and World Report has recognized FSU as 23rd in Historically Black Colleges and Universities, and 114th- 142nd in Regional Universities South. FSU offers an online master’s in project management in the form of an MBA with a Concentration in Project Management. The course of study consists of 13 three-credit classes for a total of 39 credits. Of these, 27 credits are core curriculum classes, and 12 are project management concentration classes, such as Communication and Procurement in Project Management, Tools and Techniques of Project Management, and Project Risk Management. Online MBA classes are available in traditional, 16-week semesters, or an accelerated, 8-week format. Students enrolled in the online master’s in project management at this university benefit from a top-quality distance degree program; U.S. News and World Report ranks FSU 106th in Best Online MBA Programs. FSU’s highly affordable online MBA tuition costs only $635 per credit, earning it a ranking of 3rd Most Affordable Online Business Program in the nation from AffordableSchools.net. Rather than a single school, Embry-Riddle Aeronautical University (ERAU) represents an entire private university system, with campuses in Daytona Beach, Florida, Prescott, Arizona, and other locations. It is the single biggest accredited university system specializing in aviation and aerospace, and boasts advanced instructional resources, such as 16 state-of-the-art Medium Altitude Long Endurance Unmanned Aircraft System (UAS) simulators and a fleet of 89 instructional aircraft. The university was founded in 1926 as the Embry-Riddle Flying School, which provided flight training under the Civilian Pilot Training Program. Today, ERAU educates 31,100 students through associate, bachelor, master’s, and PhD degree programs. While ERAU continues to be recognized as a premiere aeronautics institute, the school also awards respected degrees in arts and sciences, aviation, business, engineering, computer programming, cyber security and security and intelligence. ERAU has earned a number of top distinctions from U.S. News and World Report, including 12th in Regional Universities South, 7th in Best Colleges for Veterans, 40th in Best Value Schools, and 6th in Most Innovative Schools. ERAU awards an online master’s in project management in the form of a Master of Science in Project Management. ERAU was on of the first universities to offer distance learning, beginning in 1971, and is heavily invested in its online degree programs, with notably flexible, affordable and high-quality programs. The master’s program has multiple start dates throughout the year, and offers classes in 10 terms lasting 9 weeks each. The project management master’s program is accredited by the Project Management Institute Global Accreditation Center for Project Management Education Programs, and all online classes are taught by accomplished Project Management Professionals (PMPs). The degree requires the completion of 30 credits: 21 in core coursework and 9 in electives. Students can use their electives to pursue any of ten available project management concentrations, including Information Systems, Supply Chain Management, Leadership, and Systems Engineering, or may create their own from approved course selections. The course of study culminates in a capstone project, in which students use their acquired project management skills to develop an e-portfolio. This top-quality program has earned a ranking of 67th in Best Online Graduate Business Programs (Excluding MBA) from U.S. News and World Report. In addition to excellent quality, the program boasts very affordable tuition: $640 per credit. 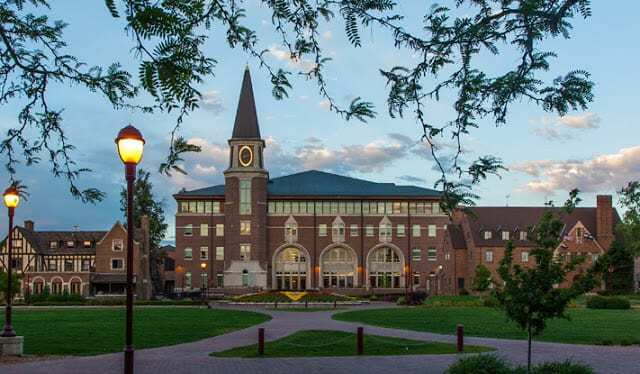 Originally established in 1864 as the Colorado Seminary, the University of Denver is the oldest independent, private university in the Rocky Mountain Region. At the time of the school’s founding, the city of Denver was still only a mining camp, and Abraham Lincoln appointed former Governor, John Evans, to establish the Methodist seminary in order to “civilize” the frontier region. Today, the school is a nonsectarian institute, and serves a large student body of 11,614 graduates and undergraduates. The 125-acre campus is home to a number of historic buildings, as well as an observatory, four-level opera house, the region’s larges pipe organ, and one of the nation’s most one of the most advanced and technologically capable university libraries. The school is selective and academically rigorous. About 50% of incoming freshman were in the top 10% of their high school classes, and the school has earned ranking of 87th in National Universities from U.S. News and World Report. It is also ranked 56th in Best Value schools, in recognition of its affordable tuition relative to high academic quality. DU offers an affordable, high-quality, and fully-online master’s in project management in the form of a Master of Science in Leadership and Organizations with a Concentration in Project Management. The curriculum is designed to parallel the Project Management Institute’s Project Management Body of Knowledge (PMBOK) Guide, which collects best practices and standards of excellence within the industry. A total of 48 credits are required for graduation, consisting of 12 four-credit courses. Core coursework comprises 20 credits, electives make up 12, and the remaining 16 are project management concentration courses, covering topics such as Principles of Project Management, Project Management Tools & Techniques, and Project Management Dynamics. Terms are 10 weeks long. The DU school of business is highly ranked by Forbes, Business Week, and the Wall Street Journal, which also recognizes is as second in the nation for producing students with high ethical standards. This prestigious degree program has highly affordable tuition; online graduate students pay just $660 per credit. University of Maryland University College (UMUC) is a public institution founded in 1947 that is located in Adelphi, Maryland. There are 57,529 students enrolled and the student-to-faculty ratio is 20:1. The Middle States Commission on Higher Education accredits UMUC to award comprehensive degree programs and post baccalaureate certifications. UMUC offers a plethora of student services like credit for life experience, weekend courses, and academic and career counselling. Additionally, all programs are offered fully online so that students always have the option to work on their degree from home, take their program as a hybrid or stay on campus. We love the level of flexibility this adds to nontraditional learners. Their largest online programs by enrollment are in the fields of business, computer information science, health, and homeland security. If you are looking for a flexible and affordable degree that is career-ready, try UMUC. UMUC offers a Master of Science in Management with a Specialization in Project Management. We selected this online degree for the affordable tuition rate. This course costs $659 per credit hour and requires 36 credit hours for completion. You will learn how to coach and mentor your employees, asses performance of the organization, and more. The MS divides into two component parts: core courses and specialization courses. For your specialization you will talk financial and strategic management, foundations of project management, quantitative methods in project management, project risk management, as well as project communications management. In addition to the affordable price point, we like the comprehensive curriculum. If you need something efficient and affordable, try the Master of Science in Project Management from UMUC. Mississippi State University is a public university located in Starkville, Mississippi. There are 21,622 students enrolled and the student-to-faculty ratio is 20:1. This large state university rivals with University of Mississippi (Ole Miss) in many regional athletic competitions. 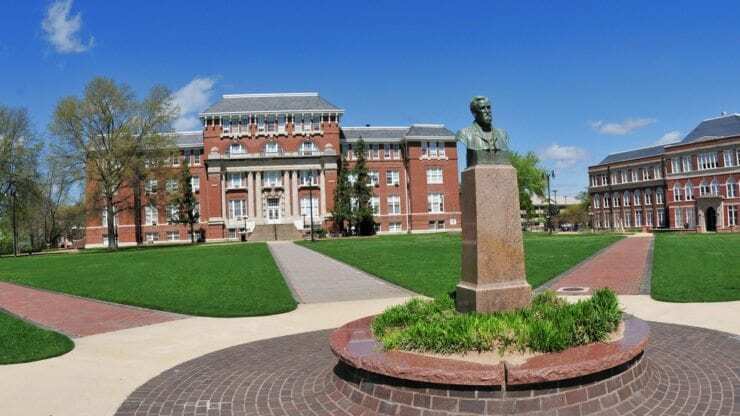 The Southern Association of Colleges and Schools- the highest accrediting agency in the South- accredits Mississippi State to award bachelor’s, master’s, and doctor’s degrees as well as post-master’s certifications. According to U.S. News Mississippi State is the 171st best school in the nation and 90th top public school. A number of online programs rank highly as well- 22nd for best online MBA programs, 49th for best online graduate engineering programs, and 87th for best online graduate business programs. There are 16 full online degrees available including online programs like a master’s in forest sciences, online doctorate in engineering, and an online master’s in management information systems. If you are looking for a high value online degree, Mississippi State University is a good option. Mississippi State University (MSU) offers an online MBA in Project Management- one of the top ranked online programs at the university. We selected this online degree for its affordable tuition rate. This program divides into 27 credit hours of MBA courses and 9 credit hours of Industrial Engineering courses. All students will study financial & accounting report analysis, leadership skills for management behavior, management information technology and systems, corporate finance and more. There are options to select enterprise systems engineering or production control systems as wells as select from process improvement engineering or industrial quality control. If you do not have undergraduate foundational business courses, MSU offers online prerequisite courses. This online degree in project management is a great way to boost your salary, change directions in a career, or simply hone your skills in project management. The University of Wisconsin-Platteville is a public 4-year institution located in Platteville, Wisconsin. There are 8,779 students enrolled and the student-to-faculty ratio is 22:1. The Higher Learning Commission accredits UW-Platteville to award associate’s, bachelor’s, and master’s degrees. According to U.S. News & World Report, UW-Platteville is ranked 99th in the region, 26th for best public school, and 114th for best online graduate business programs. UW-Platteville offers a broad range of degrees in disciplines that include science, business, criminal justice, and the liberal arts. They offer the full gambit of student support services that include remedial services, placement services for graduates as well as academic and career counseling services. UW-Platteville recently expanded their online offerings providing seven fully online degrees including a master’s in criminal justice, a master’s in engineering, and a master’s in organizational leadership. For an affordable and supportive online program, you can’t go wrong with UW-Platteville. UW-Platteville offers a Master of Science in Project Management. We selected this online master’s degree for its affordable tuition rate. The curriculum is mapped out according to the PMBOK® guide and will help you prepare for your certification in project management. You can choose how this degree will fit your personal and professional goals through their extensive elective options in human resource management, business ethics, project risk management, and others. Some of the exciting course offerings include employee training and development; management, gender and race; managerial accounting; applied statistic; business analytics; supply chain management; and corporate finance. All students culminate their degree with a capstone experience. For an affordable master’s in project management, try UW-Plattville. Brenau University is a private institution located in Gainseville, Georgia. 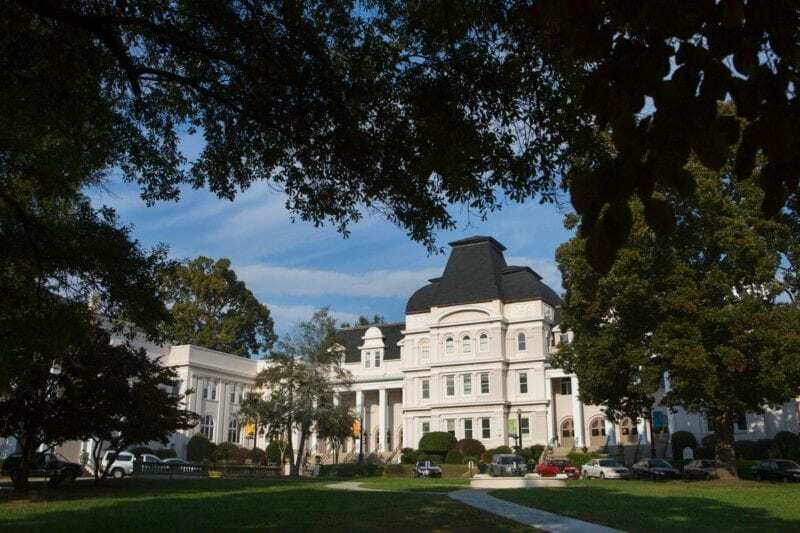 Carnegie classifies Brenau as a Master’s university with large programs. There are 2,899 students enrolled and the student-to-faculty ratio is 10:1. The Southern Association of Colleges and Schools accredits Brenau University to award associate’s, bachelor’s, and master’s degrees as well as professional certifications. Students may now earn doctor’s degrees in professional practice. The U.S. News regional ranking for Brenau is 57 and it also received a ranking of 32nd best college for veterans, and 146th for best online MBA programs. Brenau University offers a number of student support services like remedial help, credit for life experience, and academic as well as career counseling. The online university is robust offering 35 fully online degrees and professional certifications. Brenau University offers a Master of Business Administration (MBA) in Project Management. We selected this online master’s degree for the affordable tuition rate. Before starting your MBA course work be sure to have foundations course under your belt. The university offers those! This online MBA in project management is broken into two component parts: core material and concentration material. The concentration courses include an introduction to project management, contract management and ethics, leadership of project teams, project planning and control techniques, strategic issues, and other. The core material focuses on broader strokes like global economics, financial management, marketing management, cross-cultural business challenges etc. This is a very thorough online master’s in project management. If you are looking for an affordable online degree that covers all bases this is a good option. CIty University of Seattle is a private institution located in Seattle, Washington. There are 1,874 students enrolled and the student-to-faculty ratio is 11:1. 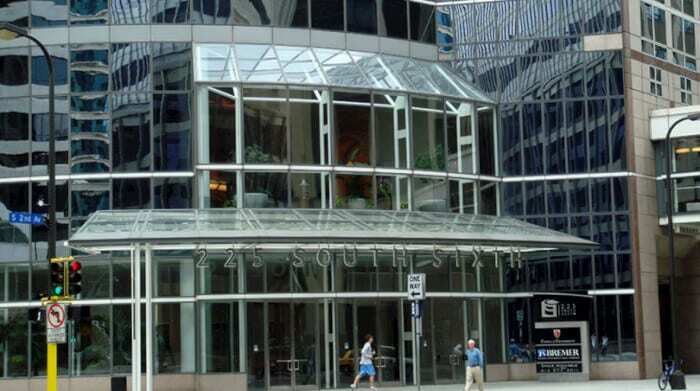 The Northwest Commission on Colleges and Universities accredits City University of Seattle (CUS) to award comprehensive degree programs as well as professional certifications. U.S. News ranks CUS as the 112th best online graduate business program, and 172nd best online MBA programs. CSU offers a distance learning option for all of their degrees. Though a small university, CSU offers a large range of online programs including a master’s degree in curriculum and instruction, and a master’s degree in project management. There are 29 fully online degrees and certifications from which to choose. This is a great school for nontraditional learners. 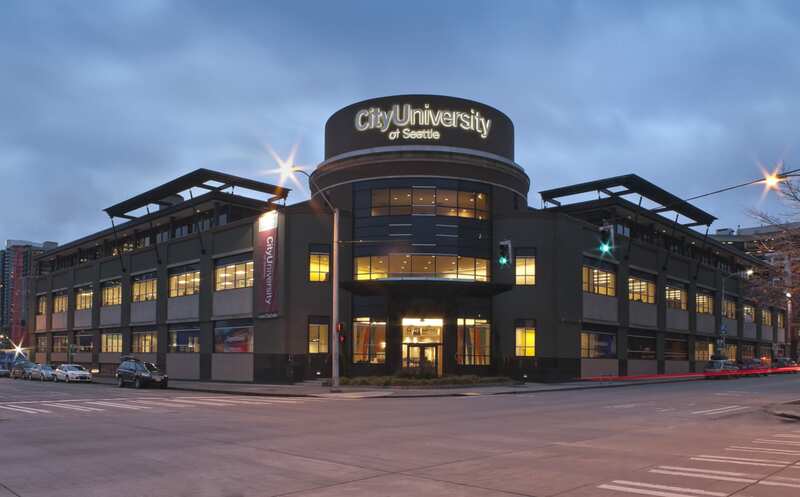 City University of Seattle (City U) offers a Master of Science in Project Management. We selected this program for the affordable tuition rate. This online master’s degree is globally accredited by the Project Management Institute and the courses in this program count as PMP continuing education credits. You will learn how to lead local and global teams, apply project management tools to myriad of situations, and resolve problems along the way. This 45 credit hour program includes an introductory program, core material, and mastery material. You will learn to manage interdependent projects as a single program through the course “mastering portfolios and programs” as well as leading domestic and global teams. Other courses include Business Fundamentals for Project Management, Applying Advanced Project Management Tools and Methods, Project Management as Change Agents, and Communications and Stakeholder Management for Project Success. This program culminated with a capstone experience. 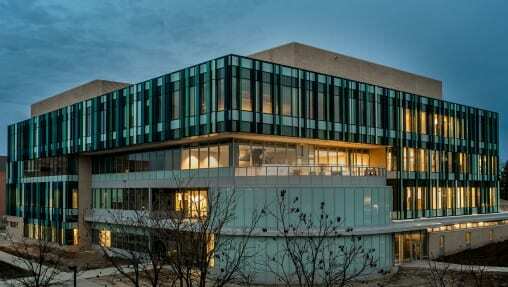 The University of Texas at Dallas is a public 4-year institution located just North of Dallas in Richardson, Texas. There are 26,793 students enrolled and the student-to-faculty ratio is 24:1. The Southern Association of Colleges and Schools accredits UT Dallas to award bachelor, master’s and doctor’s degrees as well as postbaccalaureate certifications. According to U.S. News University of Texas Dallas is the 145th best university in the nation, 4th best school in the nation for online graduate business programs, and 6th best school in the nation for best online MBA programs. Students of UT Dalla are given plenty of support through their academic and career counselling and on-campus daycare for students’ children. University programming is designed to meet the needs of traditional and nontraditional students. Academic offerings include a wide rane of disciplines like social sciences, business, public administration, and liberal arts. The most popular online degrees by enrollment are their online master’s degree in accounting, and their online master’s in business administration and management. UT Dallas offers two routes to a master’s degree in project management: a Master of Science in Management Science or an MBA with a project management emphasis. The MBA with an emphasis in project management requires an additional 14 semester credit hours for completion. All students begin with the Project Management Core that is 20 semester credit hours that lead to a graduate certificate in project management. The courses are the following: project overview, project initiation, project planning, project execution planning, project execution control and closeout, advanced project management and simulation and special topics in project management as well as an introduction to organizational behavior. Th additional MBA courses are in operations management, strategic management, financial management, marketing and global business. Those who select the MS will not take these courses. We like this program for its affordable online tuition rate and for the flexible programming. DeVry University is a for-profit organization with locations across the United States that was founded in 1931. Today thousands of students are enrolled in their programs. The Higher Learning Commission accredits DeVry University to award associate’s, bachelor’s, and master’s degrees as well as postbaccalaureate certifications. According to U.S. News DeVry University is a tier 2 university that ranks 126th best in the region. Some of the student support services include remedial services, academic counseling, career counseling, and credit for life experiences. DeVry is a great fit for nontraditional learners as DeVery offers online programming for both undergraduate and graduate students alike. The Keller Graduate School of Management offers a Master of Business Administration with a concentration in Management. This is just one of the 10 MBA concentrations available through Keller. We selected this online degree for the affordable tuition rate.This online course prepares students to meet the demands of the business setting, communicate professionally, build teams and complete business analysis. The core courses are in financial accounting managerial use and analysis, business economics, legal and ethical dimensions of business, innovation through technology and more. All students study project risk management, project management systems, project cost and schedule control, and contract and procurement management. This affordable online degree culminates with a capstone experience. If you are looking for an MBA in Project Management that has a focus on technology, try this program. 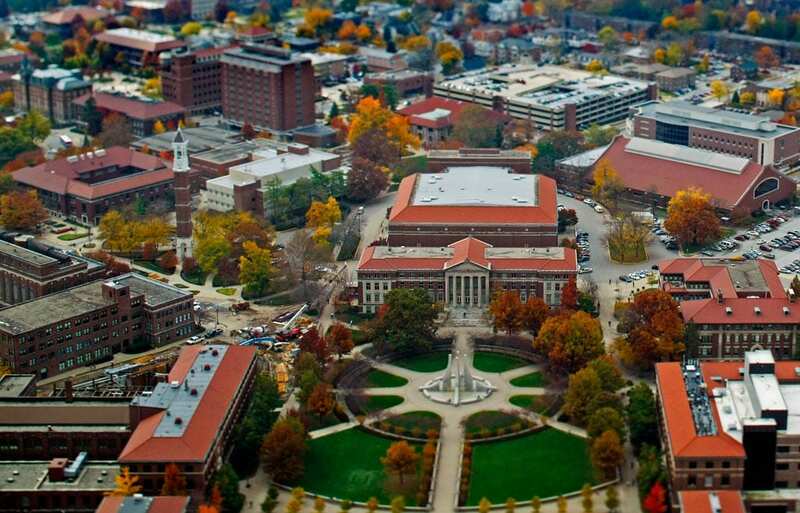 Purdue University is a public research university located in West Lafayette Indiana. There are 41,513 students enrolled and the student-to-faculty ratio is 12:1. The Higher Learning Commission accredits Purdue University to award comprehensive degree programs and professional certifications. According to U.S. News Purdue ranks as the 56th best school in the nation, 24th best college for veterans, and 5th for online graduate engineering programs. As a land, sea, and space grant university it may come as no surprise that Purdue has strong STEM programming. Some of the unique degree offerings include Soil Science and Agronomy, Botany, Nuclear Engineering, Pulp and Paper Technology and others. Their Arts programming is also extensive including degrees in Art History, Drama, Design and Applied Arts, and Stagecraft. Currently, there are 19 online degrees available like the online Master’s in Project Management, and their online master’s in aerospace engineering. Purdue University offers a Master of Science in IT Project Management. We selected this online degree for the affordable tuition rate. If you have a passion in the life cycle of a project, this is a great place to be. The curriculum feature course material developed by the Project Management Institute. This program requires 34 credit hours for completion and opens doors to a wide range of careers like: project manager, automation manager, lead systems engineer, senior storage administrator and others. The curriculum includes courses like requirements management processes, project estimating, scheduling and control, organizational and project change management, as well as IT economics and procurement management. If you need an affordable top notch degree in project management, look no further than the program at Purdue University. 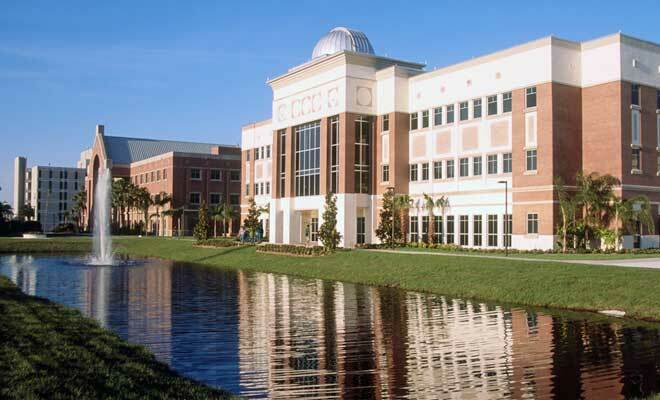 Florida Institute of Technology (FIT) is a private research university located in Melbourne, Florida. There are 6,451 students enrolled, and the student to faculty ratio is 13:1. 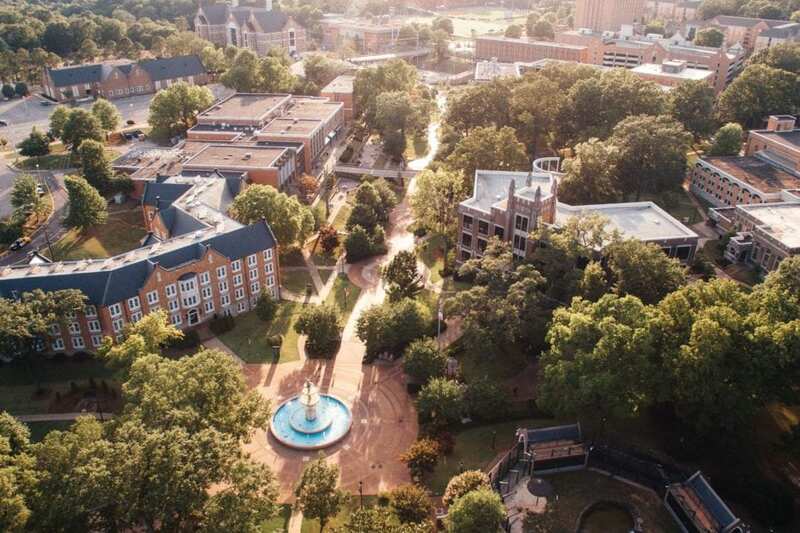 Some of its accolades include a top national ranking and ranking for veterans from U.S. News , best college in the Southeast according to The Princeton Review , and one of the “Best Value” universities in the nation according to Forbes . The academic focus at Florida Tech is on science, technology, engineering, mathematics, aviation and others. Though they do offer comprehensive degrees in a huge variety of fields outside of those tech fields, and are accredited by the Southern Association of Colleges and Schools Commission on Colleges. Online programming has a slightly different leaning with programs focusing on accounting, business, healthcare, liberal arts and psychology. These online programs are designed to mirror those on-campus. Expect, top-notch faculty, and a rigorous course load. FIT offers a Master of Science in Project Management. We selected this online course for the affordable tuition rate. FIT has a great reputation for its online programs and expect nothing less from this online master’s degree. In addition to theory, FIT provides hands on practical experience where students practice working with organization to hone their expertise. Upon completion you will have mastered project tools and techniques, organizational behavior, cost and economic analysis, project and program risk management, strategic project management as well as cases in applied project management. This online master’s degree in project management culminates with a capstone experience. Norwich University is a private 4-year institution located in Northfield, Vermont. There are 4,219 students enrolled and the student-to-faculty ratio is 14:1. The New England Association of Schools and Colleges accredits Norwich University to award bachelor’s and master’s degrees as well as postbaccalaureate certifications. U.S. News ranks Norwich as the 86th best school in the region, 21st best value school, and 74th for best engineering programs. Academic offerings include a wide range of disciplines such as business, leadership, cyber security, criminal justice, and international relations. Presently there are 13 master’s degrees, 6 bachelor’s degree and numerous graduate certificates available online for both undergraduate and graduate students. Norwich University offers a Master of Business Administration with a concentration in Project Management. We selected this online degree for its affordable tuition rate. This concentration requires that students engage in an independent research project. The MBA requires 36 credit hours for completion and each course is 6 credit hours. Expect to complete one course every 11 weeks. Some of the programming to look forward to include project management techniques tools and practices, project management leadership communications and teams, and strategic management in project management. As a student who is studying an MBA you will of course find all of the usual suspects in the program as well, such as logistics, finance, organizational leadership, and more. Lewis University is a private 4-year institution located in Romeoville, Illinois. There are 6,544 students enrolled and the student-to-faculty ratio is 13:1. The Higher Learning Commission accredits Lewis University to award associate’s,bachelor’s, master’s, and doctor’s degrees as well as professional certifications. U.S. News ranks Lewis University as the 23rd best college in the Midwest, 15th best college for veterans, 42nd best value school, and 105th for best online graduate nursing programs. Lewis University provides a broad range of degrees across disciplines that include drawing, air traffic control, philosophy, family practice nursing, Spanish language literature, and project management. Currently there are 17 programs available completely online for both undergraduate and graduate students including popular programs like their online master’s in computer information systems security, online bachelor’s in business administration, and online master’s in nursing administration. Lewis University offers a Master of Business Administration with a concentration in Project Management. We selected this online degree for the affordable tuition rate. This online master’s in project management requires just 36 credit hours for completion. The program is divided into three main component parts. Those without a bachelor’s degree in business will be required to fulfill their foundation program. Upon completion of the foundations courses students may begin their MBA. You will study managerial accounting, managerial economics, marketing management, managerial finance, legal social and ethical foundations of business, managerial communication, International business, strategic management in the global environment and more. The concentration examines project management, advanced project management, principles of Six Sigma , and strategic outsourcing. All students are required to complete a final exam. Harrisburg University of Science and Technology (HUST) is a private university located in Harrisburg, Pennsylvania. There are 2,992 students enrolled and the student-to-faculty ratio is 32:1. 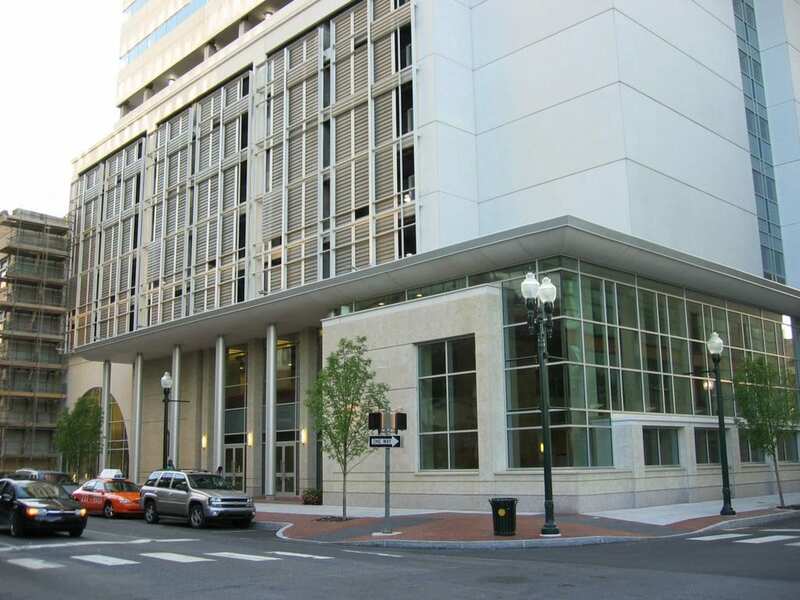 The Middle State Commission on Higher Education accredits Harrisburg University of Science and Technology to award bachelor’s and master’s degrees. This school is a STEM hub that awards degrees in maths, engineering, business, and biology. HUST does a great job providing affordable career-ready degree programs for nontraditional learners. At the moment there are 5 fully online programs both for undergraduates and graduate students including a master’s in management science, a bachelor’s in educational/instructional technology, and a master’s in engineering technology and engineering-related fields. For an affordable and flexible degree you can’t go wrong with HUST. Harrisburg University of Science and Technology offers a Master of Science in Project Management (MSMP). This online degree has been accredited by the the Global Accreditation Center for Project Management and the Project Management Institute. We selected this degree for its affordable tuition rate. The degree is divided into two main component parts: core requirements, and electives. The core requirements take up 18 credit hours of the program and include professional communication, organizational leadership, principles of project management, procurement contracts and risk management, planning and executing project management and agile project management with scrum. The other 18 credit hours are your electives. This is another aspect of the program that we love- the added flexibility that comes from choosing electives from other graduate curricula. You can readily tailor your degree to meet your career requirements and personal interests. The University of Colorado Colorado Springs (UC Colorado Springs) is a public institution located in Colorado Springs, Colorado. There are 12,559 students enrolled and the student-to-faculty ratio is 17:1. 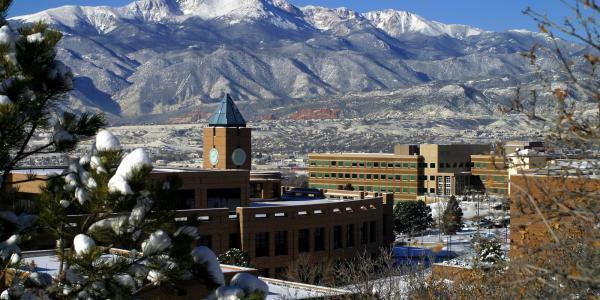 The Higher Learning Commission accredits UC Colorado Springs to award bachelor’s, master’s, and doctor’s degrees as well as professional certifications. According to U.S. News UC-Colorado Springs ranks as the 35th best university in the region, 20th best college for veterans, 6th top public school, and 54th for best online MBA programs. When it comes to academic offerings, UC Colorado Springs really shines with career-ready degrees and offers a number of programs for both traditional and nontraditional learners. 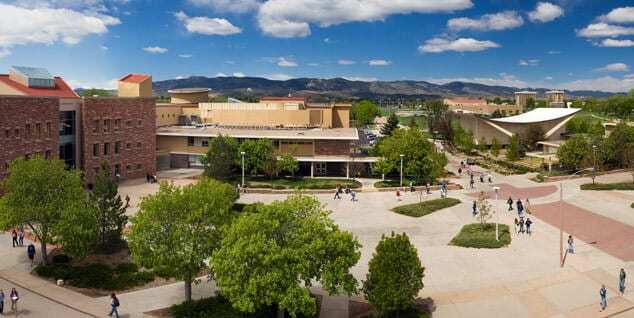 Currently there are well over 20 fully online degree offerings at UC Colorado Springs! Some of the most popular by enrollment are in business administration, communication, educational leadership, nursing, and sociology. UC Colorado Springs offers a Master of Business Administration with a concentration in project management. This fully online degree requires just 36 credit hours for completion. There is an additional requirement for MBA foundational courses which may be waived depending on prior academic coursework or successful scores on specific tests. Those foundational courses include an introduction to accounting, fundamentals of economics, business, government and society and fundamentals of business statistics. Your project management concentration focuses on managing projects for competitive advantage, virtual team skills for project management, project estimation and risk management, and bridging strategy and tactics in project management. All students will complete the MBA core material. For a comprehensive affordable degree this is a fantastic option. 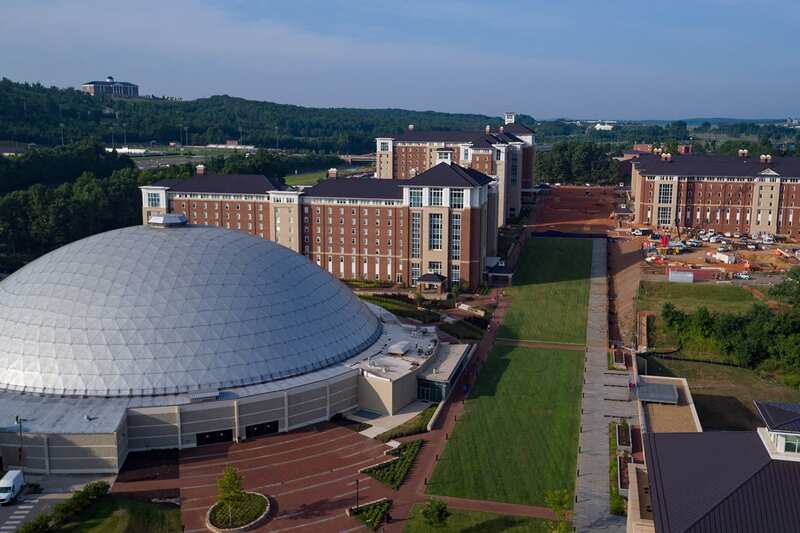 Western Carolina University is a public 4-year institution located in Cullowhee, North Carolina. There are 10,085 students enrolled and the student-to-faculty ratio is 17:1. The Southern Association of Colleges and Schools accredits Western Carolina University to award bachelor’s, master’s, and doctoral degrees as well as postabaccalaureate certificates, and post-master’s certificates. U.S. News ranks Western Carolina University as the 38th best university in the South, 24th best college for veterans, 13th top public schools, and 59th for best online graduate business programs. Western Carolina University accepts dual credits, credit for life experiences, and advanced placement (AP) credits. In addition to generous transfer allowances, other student support services include academic and career counseling, on-campus day care and placement services for those who graduate. Academic offerings are robust to say the least as there are over 100 degrees available in a vast range of fields. Students may elect to study public administration, forensic chemistry, interior design, nursing practice, and criminal justice. There are 14 online programs for undergraduate and graduate students including online degrees like a bachelor’s in marketing, master’s in human resources, and a master’s in project management. Western Carolina University offers a Master’s in Project Management M.P.M. We selected this online course for its affordable tuition rate. Students will complete between 30 and 36 credit hours depending on required prerequisite classes. The course load includes Project Selection and Initiation, Project Plan and Implementation, Project Execution and Closeout, and others. This fully online program works well for professionals. Students typically complete this program in 2-3 years. For an affordable and flexible online degree in project management, try this program. Regis University is a private Roman Catholic Jesuit institution that enrolls over 8,700 students and is located in Denver, Colorado. The student-to-faculty ratio is 14:1 where 60 percent of the student body is female. According to U.S. News Regis University is the 27th best school in the West and has one of the top 25 best online business schools! Other accolades include a “Top Military School” according to G.I. Jobs and top 25 best colleges online according to SuperScholar . GetEducated.com lists the Master of Nonprofit management as a “best buy online master’s degree.” Though all campuses are located in Colorado and primarily in Denver, Regis University is home to a large online degree program with dozens of degrees and certificate in fields like nonprofit management, healthcare, criminology, nursing and project management. In fact there are over 75 fully online degrees and professional certification available! 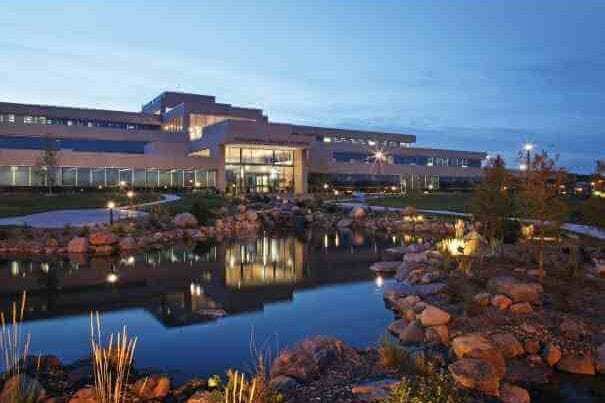 Regis University offers a Master of Science in Project Leadership and Management. We selected this program for the affordable tuition rate. This online degree is also accelerated and intensive as courses are just 8-weeks in length. The degree requires 30 credit hours for completion, and is accredited through the Global Accreditation Center for Project Management. Students will study business intelligence and analytics, delivering organization excellence, leading projects in contemporary organizations, management of project performance, project monitoring and delivery, leading change and innovation, and strategic business management for proejct managers. The capstone experience is a course called “Leading Responsible Organizations.” This is a great online degree particularly for students looking to become leaders of nonprofit organizations. George Mason University (Mason) is a public 4-year institution located in Fairfax, Virginia. There are 34,909 students enrolled and the student-to-faculty ratio is 16:1. The Southern Association of Colleges and Schools accredits Mason to award bachelor’s, master’s, and doctor’s degrees as well as professional certifications. Carnegie classifies Mason as a doctoral degree with the “highest research activity.” According to U.S. News George Mason University ranks as the 140th best school in the nation, 89th best college for veterans, 23rd for best online graduate computer information technology programs, and 56th for best online graduate business programs. 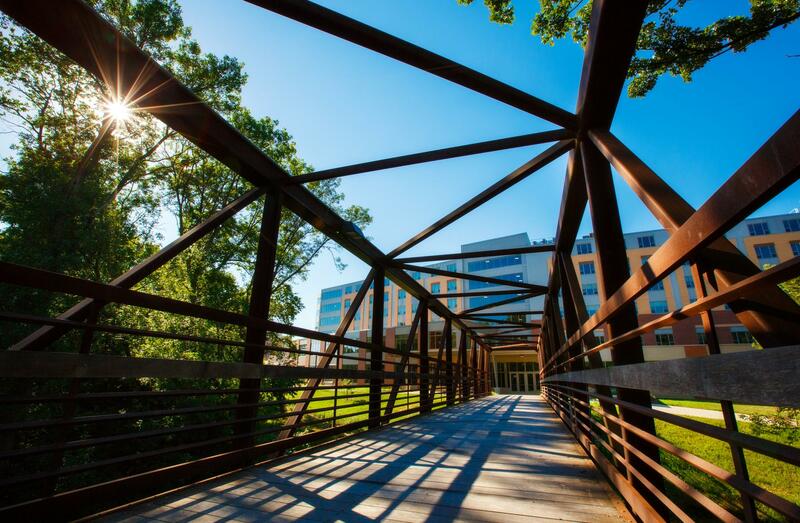 Mason offers a vast array of degrees in disciplines that include Latin American Studies, Biometrics, Animation, Real Estate, Art Education, and Project Management. Currently, there are 23 fully online degrees for both undergraduates and graduate students alike including an online master’s in educational leadership, an online bachelor’s in information technology, and a professional certification in geographic information science and cartography. 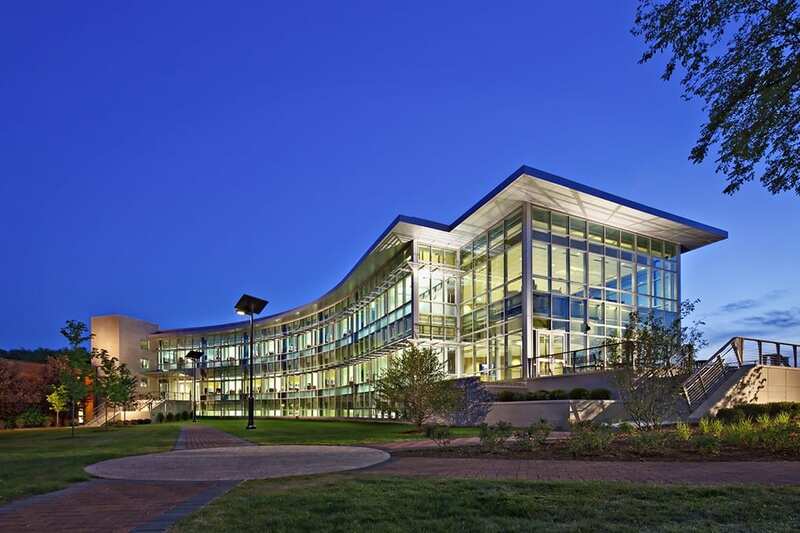 George Mason University offers a Master of Business Administration with an option of focusing on project management. We selected this online master’s degree for the affordable tuition rate. This program requires 48 credit hours for completion. The degree is broken into two component parts required courses and electives. The required courses include: statistics for business decision making, organizational behavior, managerial economics and decisions of the firm, marketing management, operations management, managerial finance, managing costs and evaluating performance, financial reporting and decision making, management of information technology, and strategic management. The electives are where you can really get into the nitty gritty are you are free to choose from myriad programming to help you tailor your degree to mach your career goals and personal interest. You can study project management, marketing research, leadership, finance markets and more. For a high value flexible online degree, the program at Mason is an excellent pick. 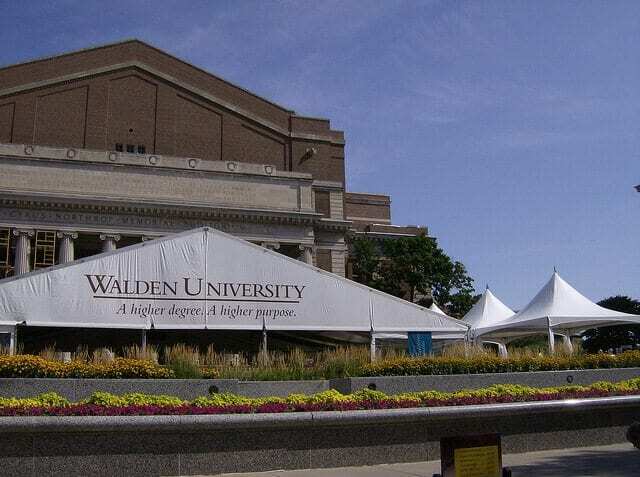 Walden University is a private university based in Minneapolis, Minnesota. Walden is part of a global network of 80 universities located in 29 different countries and enrolls over 47,000 students world-wide. The student body represents 50 states and over 150 nations. The Higher Learning Commission accredits Walden University to offer bachelor’s, master’s and doctoral degree programs. Walden’s stated mission aims to offer degree programs that “reflect current market trends and promote positive change.” It does so by offering degrees in fields like business management, nursing, information technology, communication and new media, public health and education. There are over 163 degree programs offered in traditional and nontraditional formats. Online learning is flexible and is designed to fit the schedule of the individual. We like Walden for its flexible relevant and career-oriented offerings.​ Some of the most popular programs by enrollment are in the fields of business, health, social services, psychology, and education. In fact, Walden offers 10 online master’s in education including their online master’s in project management. Walden University offers a Master in Business Administration with a specialization in Project Management. We selected this online degree for its affordable tuition rates. This degree requires 36 semester hours for completion and is broken into three component parts: core courses, specialization courses, and capstone courses. The capstone course is called “Sustainable Business Practices and Strategies.” All students will study business essentials, dynamic leadership, managing people and promoting collaboration, fostering a culture of information systems, managing business information systems, improving business performance, accounting for management decision making, marketing for competitiveness, managerial finance, practices in project management, enterprise and risk management, and stakeholder management and organizational behavior. This program is comprehensive in nature. For a versatile degree in project management, try this program. 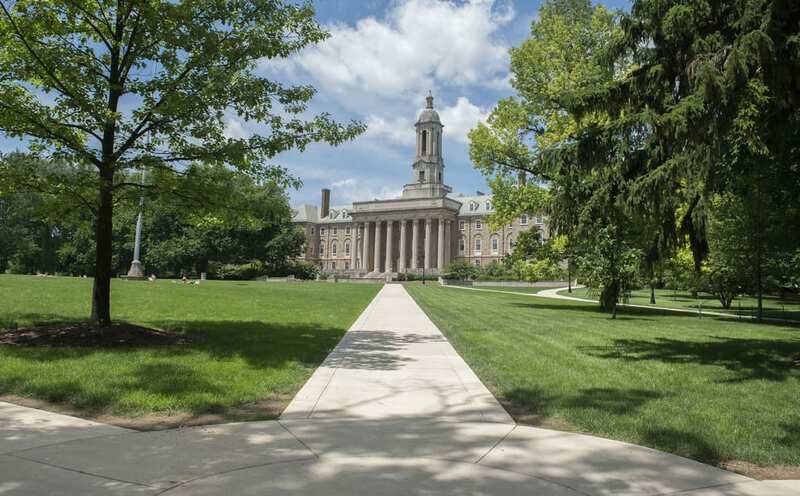 Pennsylvania State University is a public university located in University Park, Pennsylvania. There are 47,789 students enrolled and the student-to-faculty ratio is 16:1. The Middle States Commission on Higher Education accredits Penn State to award associate’s, bachelor’s, master’s, and doctoral degrees as well as postbaccalaureate certificates. According to U.S News, Penn State ranks as the 52nd best school in the nation, 14th top public school, and as the 56th best university in the world. As you may have guessed their world campus is robust- offering a wide array of high quality online degrees. In fact, their online degree offerings are comprehensive and available for people seeking associate’s, bachelor’s, master’s, and doctoral degrees as well as professional certifications. Some of their unique online offerings include a bachelor’s in agriculture with an emphasis in turf and turfgrass management, a bachelor’s in nuclear engineering, and a master’s degree in project management. Some of the most popular programs are in the fields of engineering, social sciences, education, and business. Pennsylvania State University offers a Master’s in Project Management. We selected this program for the affordable tuition rate. This 30-credit hour program is an accelerated route towards not only an advanced degree but a major advancement in your career. What’s even better is that this program is accredited by the AACSB and follows the PMBOK guide designed by the Project Management Institute. This program is a great value! The program is divided into two components: core courses, and electives. The core courses focus on project management, cost and value management, planning and resource management, commercial law and project procurement, organizations, interpersonal and group behavior and more. Your elective options include everything from project team leadership to supply chain management to independent study. If you are looking for an affordable and diverse degree in project management, look no further than Penn State. 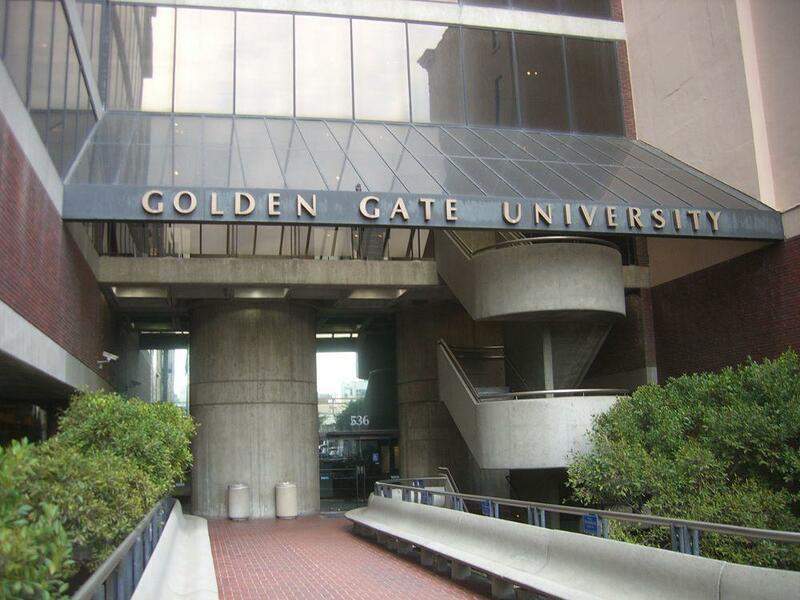 Golden Gate University- San Francisco is a private 4-year institution located in San Francisco, California. There are 2,656 students enrolled and the student-to-faculty ratio is 12:1. The Western Association of Schools and Colleges accredits Golden Gate University to award comprehensive degree programs and professional certifications. When it comes to student support services, Golden Gate University offers remedial services, employment services for students, placement for graduates, and academic and career counseling! One of the outstanding features of Golden Gate University is their accommodations for nontraditional learners. In fact over half of all programs are offered entirely online. There are over 30 fully online degrees for both undergraduate and graduate students. Their most robust online offerings are in the field of business include a master’s in accounting, master’s in business administration, master’s in taxation and more. Golden Gate University offers a Master of Science in Project Management. We selected this program for its affordable tuition rate. All courses are taught PMP certified professors. This course require 36 credit hours for completion and does require a writing proficiency, business proficiency, and math proficiency. 6 credit hours are devoted to the foundation program and the remaining 30 credit hours include core courses, required courses and electives. The required courses include Agile management for project managers, project feasibility planning and control, project governance, project administration leadership & team dynamics, and the practice of project management. Your elective courses are in negotiations, contextual environment of business, strategic sourcing, project management for IT professionals, and others. Student may elect to do an internship in operations and project management. East Carolina University (ECU) is a public 4-year institution located in Greenville, North Carolina. There are 28,962 students enrolled and the student-to-faculty ratio is 18:1. The Southern Association of Colleges and Schools accredits ECU to award bachelor’s, master’s, and doctor’s degrees as well as professional certifications. According to U.S. News ECU ranks as the 207th best school in the nation, 113th top public school, 14th for best online criminal justice programs, and 91st for best online MBA programs. Carnegie classifies ECU as a doctoral university with “higher research activity.” When it comes to student support services ECU offers remedial support, academic counseling, career counseling, and placement for graduates. Academic offerings are wide ranging including everything from accounting to visual arts. The online offerings are extremely robust- there are nearly 50 fully online degrees and professional certification. Some of the most popular online degrees by enrollment include a bachelor’s in elementary education, a bachelor’s in industrial technology, and a master’s in registered nursing. ECU offers an MBA in Management Information Systems (MIS) We selected this online degree for the affordable tuition rate. There are a number of MBA programs available through ECU incuding one in Supply Chain Management. We recommend looking through their course catalogue to ensure that MIS is right for you. The MIS program includes courses like project executing, monitoring, and controlling, delivering business value through information systems, project leadership and communication, systems analysis and design, distributed systems, data mining, and much more. This comprehensive degree is versatile and affordable. Lehigh University is a private research university located in Bethlehem. This historic town is just a short drive to New York or Philadelphia. There are over 7,000 students enrolled who benefit from their small classes and a student-to-faculty ratio of 10:1. According to U.S. News Lehigh University ranks as the 46th best school in the nation, 28th best value school, 19th for their online MBA and 46th for their online graduate engineering programs. There are five academic colleges offering degrees: Arts & Engineering, College of Arts and Sciences, P.C. Rossin College of Engineering and Applied Sciences, College of Education, and the College of Business & Economics. As a research university, all students have the opportunity to engage in research including undergraduate students. In fact, over 1,000 undergraduates take part in research every year, and 55 students engaged in research received funding for their own projects! Lehigh is regionally accredited by the Middle State Commission on Higher Education to award bachelor’s, master’s, and doctor’s degrees as well as post-master’s certifications.Lehigh University offers a Master of Business Administration with a concentration in Project Management. We selected this program for the affordable tuition rate. You do not need to declare a concentration at the time of enrollment which is part of why their MBA is called a Flex MBA. This online degree is offered part-time and works well for busy professionals. Students will study project management fundamentals, project requirements and scope management, project scheduling estimating and budgeting, project risk management, decision making and ethics on projects. You can choose from the following list: advanced scheduling and scheduling tools, managing project quality, project procurement and negotiation, project leadership, facilitation and teamwork for projects, adaptive and agile project management, managing projects for innovation, and a project management capstone experience. Wright State University is a public research university with a main campus located in the suburbs of Dayton Ohio (Fairborn). Originally a satallite campus of Ohio State University and Miami University, WSU became an independent institution in 1969. Degrees at WSU are offered at the bachelor’s, master’s, and doctoral levels and the university is currently attended by 16,645 students with a majority attending at the undergraduate levels. For a medium sized university the average class size is relatively small at 17 students. Around 2/3rds of faculty are employed on tenure track with all 873 of these professors fulfilling instructional roles. One of the most cutting edge elements within the university is the Kno.e.sis center (Ohio Center of Excellence in Knowledge-Enabled Computing). Kno.e.sis functions as a hub for bio-health tech research and is a multi-disciplinary center for research on modern web technologies, data science, high performance computing, cloud computing, and other in-demand health and tech research areas.We’ve chosen Wright State University for their affordable tuition in their Master in Business Administration program. This program offers a wide range of specializations, three of which might be of particular interest to current or future project managers: their project management track, their health management track, and their management, innovation, and change track. Besides the wide range of specializations, WSU’s degree offers other flexibility-enhancing features including the ability to take the degree full or part-time, and the ability to take some or all courses online. In the prject management track of the MBA, seven core courses are required as well as three concentration courses. The concentration courses include fundamentals of project management, project contract management, and project planning evaluation and control techniques. A series of foundational courses are also required before jumping into the core components of the degree program. With many MBA programs costing well over $100k in tuition, WSU provides a great value with tuition at $1091 per semester hour. Brandeis University is a private research university located in Waltham, Massachusetts (9 miles outside of Boston). BU has slightly over 5,000 students with a slight majority at the undergraduate level. Historically the university has been known for being a top tier liberal arts college with several top ranked graduate programs as well. Keeping in line with such, a majority of courses at the university have 20 or fewer students, and a great degree of professors hold instructional roles. Top ranked schools within Brandeis University include one of the 10 best policy schools in the United States, and the #1 ranked international business school. The business school offers many quality and innovative research areas including international economic policy, sustainability, and a number of hybrid degrees among business disciplines. We’ve ranked Brandeis University due to their relative affordability for their Master of Science in Project and Program Management program. This program’s affordability is quite a feat given the stature of the program and the fact that the university is private. Program offerings are consistent with industry standards and the PMBOK. The program is known for offering a well-rounded curriculum with substantial focus on both hard and soft skills as well as the quality of faculty. Faculty members are well established members of their (diverse set of) fields. The program is interdisciplinary in its focus on management, technology, and leadership. And if you’re taking the program online, make sure to take advantage of some in-person events. The University’s proximity to Boston allows for a great segue into new project management roles, particularly in health care, information technology, and transportation fields. Drexel University is a private research university with a main campus located in Philadelphie, Pennsylvania. The university is home to 26,000+ students at the undergraduate and graduate levels. Drexel has historically been known as one of the most innovative universities in the United States. Innovative elements of their programming include a mixed focus on in-class instruction and training in the workplace, with many programs requiring students to work with employers for 6 months before graduation. Other innovative aspects of select programs at the university include technologically-enhanced learning as well as a busy business incubation space on campus. We selected Drexel University for our ranking due to the great value of its MS in Project Management degree. The degree align with the PMBOK and is designed to prepare students to excel at the Project Management Institute’s PMP certification. Furthermore, students may pursue for-credit graduate-level certificates throughout the program. The online program is known for its interactive nature with many opportunities to interact with peers and faculty. Furthemore, the program is built for currently working adult students, affording fully-employed students the flexibility and support needed to enhance their education. At $1,228 per semester hour Drexel is more expensive than a number of other programs, but a good deal for a top tier private graduate business degree. 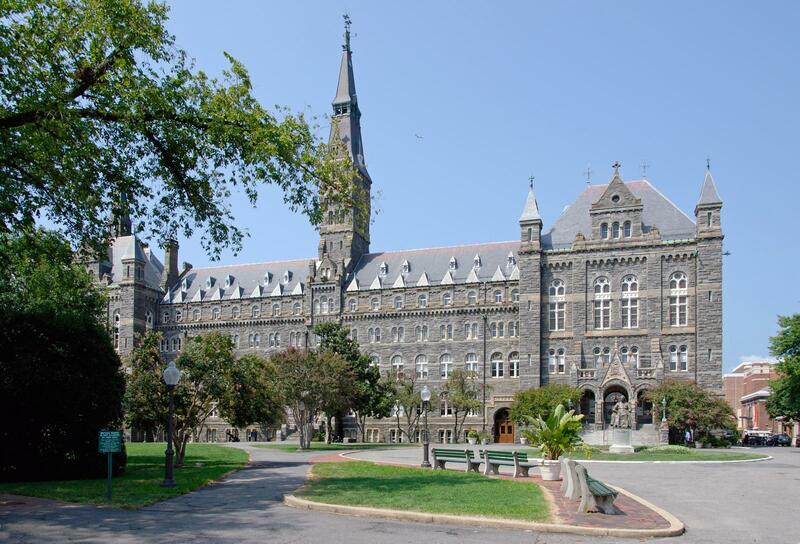 Georgetown University is a Catholic, private research university located in Washington, D.C. Founded in 1789, the university is one of the oldest in the United States as well as one of the most prestigious. While the university is the oldest Jesuit-affiliated university in the United States, and has had many Jesuits present in many roles for the university, the university has always been governed indepdendently of the Church. Presently almost 18,000 students call the university home with a majority of those students at the graduate level. Particularly noteworthy accolades include the number of powerful allumni in foreign policy and government, the largest student-run business in the world, and largest student-run financial insitution in the world. We’ve included Georgetown University in our ranking due to the incredible value of its master of professional studies in project management degree. While more expensive than other programs on the list (as one might expect), the truly impressive faculty, allumni network, and support make this one of the best graduate programs in project management out there. Flexibility-enhancing components of the program include the ability to finish the program in 2-5 years, the ability to pursue your degree full or part-time, three start dates a year, the ability to attend classes in person or online, and the ability to choose a number of electives as part of the program. The program emphasises technical knowledge and leadership, two of the most in-demand skillsets for project managers. Tuition costs $1345 per semester hour, which while higher than other schools in our ranking leads to a moderately priced graduate degree. Total cost of the program is $40,350. The 25 Best Online Project Management MBA Degree ProgramsWhat is Project Management Academy?